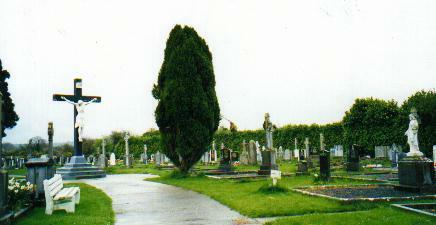 Templemore Catholic Cemetery County Tipperary pre 1900's, not all were transcribed. Casey Thomas, in loving memory of Thomas Casey of Knockalton Upper Nenagh Ex Old IRA 1920 - 23, died 19 January 1961 aged 84 years, his beloved wife Winifred died 5.5.1970 aged 74 years, his brother Patrick died 6.1.1963 aged 82 years. Erected by Thomas Casey RIP. Casey Denis, in loving memory of Denis Casey of Casey's Cross who died 11.2.1941 aged 81 years, his wife Mary died 20.10.1925 aged 72 years, his grandson John died 1.12.1972 aged 29 years, his son John died 2.12.1984 aged 86 years, Bridget wife of John died 23.2.1990 aged 86 years, erected by John Casey RIP. Bereton Judith nee Cleary died at Residence Loughmore January 8th 1864 aged 73 years, 46 years of her widowhood. Bourke John of Ballinlonty died March 4th 1945 aged 80 years, his wife Hanora died August 30th 1947 aged 79 years also his daughter Bridget died August 27th aged 19 years. 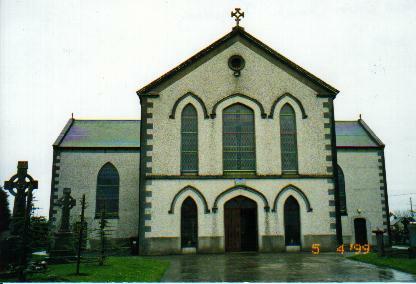 Boyle Patrick of Killoran Moyne, died December 25th 1919 and his wife Mary died June 22nd 1922. Burke Thomas of Ballinlonty died 1955 also his sister Lizzie died 1956, his brother Patrick died December 12th 1961, Michael Burke died February 15th 1972. Cahill Edmund. Erected by Mrs Cahill, Brookley, in memory of her husband who died March 13th 1902 aged 80 years and daughter Mary died June 10th 1888 aged 16 years. Ellen died October 17th 1890 aged 17 years and Bridget died April 8th 1898 aged 30 years. John died November 11th 1925. Dan died May 17th 1951. Phil died May 18th 1952. Catherine died February 9th 1958. Cahill James, The Church died December 21st 1929, his daughters Mary Frances died August 11th 1960 and Annie who died young, his father James died January 5th 1923, his mother Bridget died August 13th 1923, also his sisters Ellen and Johanna. Bridget died February 21st 1966. Bridget Maher died September 11th 1965. Mary Cahill died April 16th 1968 aged 90 years. Cahill Mary (Trahy). Erected by James Cahill of Drom in memory of his wife who died January 30th 1997 aged 36 years. Carolan Martha died May 12th 1981. Carolan Martha, Barnane died January 2nd 1936 also her husband James died August 28th 1937, her sister Agnes O'Shea died January 31st 1950, her stepsons Peter (Pat) died January 4th 1968 and Edward died October 15th 1978. Carroll Daniel died January 27 th 1877 aged 82 years, also his wife Ellen Kearns died June 24th 1883, erected by their children Dan, Mary, Annie, Halifax Nova Scotia. Carroll Timothy died October 5th aged 23 years. Casey Patrick, Barrack Street, Templemeore died November 20th 1964, also his wife Mary Ann who died December 21st 1966 and son Michael died September 11th 1974. 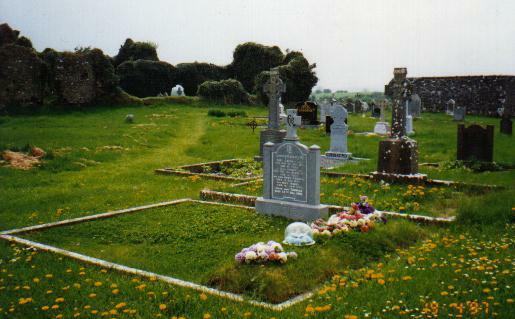 Cleary Michael of Knocka died July 2nd 1869 aged 78 years, his son Patrick died April 18th 1859 aged 18 years, his daughter Anto died December 1st 1872 aged 30 years. Cleary Phillip of Lisheenlagen died January 20th 1851, and daughter Ellen alias Purcell died January 31st 1852. Collins Anastasia of Kilfithmone died March 24th 1962 aged 69 years, her grandson Padraic Collins died March 26th 1971 aged 5 weeks, her husband Frank died June 1st 1979. Collins Mary Ann nee Davey of Portarlington died March 6th 1984 aged 67 years, also her husband Martin F who died March 26th 1991 aged 72 years. Margaret Bassl nee Riordan late of New York USA died December 25th 1958 aged 80 years. Michael Collins of Rosmult died December 24th 1971 aged 84 years. Patrick Riordan died March 1941 aged 69 years. Darmody Patrick of Ballinlonty died October 20th 1928 and his wife Mary died August 18th 1955, also their daughter Bridget died April 2nd 1971, daughter Mary died April 15th 1982. Phil Darmody died April 15th 1982. Delaney James. Erected by Patrick Delaney of Bu..stand? in memory of his father who died January 20th 1844 aged 86 years, also Honnora (?) Kennedy alias Delaney died April 13th 1839 aged 81 years. Patrick and his brother Jack, USA, William and his wife Johanna nee Prior of Borrisoleigh. Michael Delaney died January 19th 1962 and his wife Mary nee Godfrey of Leigh died September 1st 1958. William Delaney died February 15th 1947. Michael Delaney killed 1917 (Ypres) all of Rathmoy. Egan John died May 6th 1830 aged 65 years. Fanning John of Borrisoleigh died November 1936 also his wife Annie nee Ryan died January 1934. Erected by son Patrick. Fanning Thom who died March 23rd 1877 aged 77 years, also his wife Winifred Carroll died June 1st 1870 aged 56 years, also his daughter Catherine Kavanagh died August 6th 1899 aged 43 years, daughter Ellen Kavanagh died May 20th 1900 aged 22 years. Fogarty Hanorah of Knockahoma? who died March 4th 1864 aged 64 years. Mary died December 25th 1892. Patrick died April 27th 1893. Nora died May 9th 1893. Michael died December 25th 1895. Johanna died September 15th 1901. Fogarty Philip. Erected by Philip Fogarty, Gortalough, in memory of his father who died September 2nd 1863 aged 62 years and his grandfather Philip who died December 1st 1837 aged 82 years, his grandmother Mary alias Gleeson who died February 1st 1838 aged 76 years. Mary of Gortalough died December 12th 1910. James died June 2nd 1957. Mary died January 15th 1965. Philip died March 5th 1978. Goady Mrs. Erected by Thomas Kielly of Templemore in memory of his sister Mrs Goady nee Kielly who died May 8th 1873. Johanna died November 13th 1886, his father Thomas Kielly died February 17th 1892 and his brother Michael died April 21st 1893. Kathleen Kielly died April 25th 1959 and her husband Michael died October 12th 1969. Hanigan Mary alias Fanning of Glandane Parish Holy Cross. Erected by Rev William Hanigan, parish priest of Ballynahinchin in memory of his mother who died April 6th 1827 aged 80 years. Hedrington Thomas. Erected by Thomas Hedrington of Drom in memory of his father who died September 21st 1889 aged 86 years and his mother Ellen died March 25th 1859 aged 77 years. Ann Hedrington died October 27th 1897 aged 78 years. Mary Nolan died March 7th 1905 aged 90 years. Thomas Hedrington died May 26th 1911 aged 98 years. Hoare Daniel. Erected by Edmund Hoare in memory of his father Daniel Hoare who died January 20th 1877 aged 72 years, his mother Catherine nee Harrington who died May 27th 1886 aged 80 years and his brother Patrick died August 2nd 1868 aged 24 years. James Hoare died December 27th 1924 and his wife Anastasia Hoare died June 6th 1919. Hoare Joseph of Killoskehan died July 11th 1970 aged 74 years, his son Jim died December 2nd 1953 aged 13 years, his brother Dan died February 26th 1956 aged 62 years, his sister Margaret died November 25th 1957 aged 67 years. Hogan John of Killahacon, student of St Patrick's College died January 18th 1937 aged 20 years and his mother Margaret Hogan died January 6th 1919 interred at Loughmore. John Hogan died August 20th 1956. Margaret Hogan died May 10th 1958, Jim Hogan died December 23rd 1984 aged 67 years. Phil Hogan died August 25th 1992 aged 73 years. Kiely Elizabeth of Ballinlassa Castieney died March 29th 1996 also her daughter Josie died January 31st 1986 and her husband Thomas died April 26th 1986. Lanigan Mary alias Shelly. Erected by Michael Lanigan of Killoskehane in memory of his wife who died October 23rd 1827 aged 56 years, also her brother Michael Shelly died 1838, the above Michael died 1848 aged 70 years. Lanigan Sarah of Rathleastie in memory of her husband Edmund who died April 10th 1830 aged 57 years, her son Daniel died January 4th 1883 aged 15 years also Catherine Lanigan died March 2nd 1876 aged 60 years. Long William of Killoskehan died October 18th 1933, his wife Johanna died June 20th 1940, their daughters Nora Ryan died November 2nd 1948, Josie died May 18th 1948, also son William died January 19th 1960. Mary Ryan died May 24th 1979. Helen Keneham died February 17th 1978 aged 1 year 6 months. Margaret Keneham nee Callanan, Killoskehane died December 23rd 1983 aged 40 years. Lynch Sean Killoskehane died November 18th 1949 aged 20 years, his father Louis died June 18th 1967 aged 67 years, also his mother Mary died August 3rd 1995 aged 96 years. Maher Bridget alias Egan. Erected by William of Killoskehan in memory of his wife who died October 3rd 1836 aged 62 years. Maher James of Knocka died June 22nd 1922, his wife Hannah died July 16th 1947 and their daughters Johanna died June 10th 1971, Mary died November 29th 1980. Maher William. Erected by Catherine Maher in memory of her husband who died March 1st 1900 aged 67 years. Catherine died May 20th 1905 aged 51 years. Mason Corporal Thomas of Rordardstown Drom, late of McCann Bks Templemore died April 14th 1943 aged 28 years. Andy Mason of Loughpark Roscrea died November 26th 1997 aged 74 years. Mason Michael of Rathleasty died January 4th 1978 aged 72 years also his wife Mary died February 25th 1980 aged 75 years. Mathews John of Borrisoleigh died March 2nd 1951, his wife Mary died April 11th 1946, their daughter Mai died October 10th 1957 also Bridget Tobin, Annie Rawl died April 16th 1975. William Mathews died March 20th 1983. McLoughlin Kate of Kilvilcorras died October 27th 1968 also her husband William died April 16th 1978. Meagher John, Upper Barnane died June 5th 1953, also his wife Mary died January 2nd 1951 and his sister Ellen died December 31st 1955. Moroney Daniel of Ballinlonty died December 12th 1947, also his wife Bridget died March 17th 1963 and his daughter Bridget died April 14th 1955, his sister Ellen died December 8th 1967, daughter Margaret died February 6th 1992. Moroney Michael, son of Daniel died 26 January 2000 aged 82 years. O'Brien Rody, Graigue, died November 6th 1953 aged 68 years. John Kennedy of Larha died March 19th 196? aged 76 years, his son Rody O'Brien died December 13th 1977, also his wife Mary died January 18th 1979, their son Thomas died December 24th 1992. Thomas died December 24th 1992. Patrick Martin died March 5th 1996 aged 73 years, brother Martin died December 29th 1997 aged 72 years. O'Dwyer Jeremiah late of Killoskehan died April 1st 1945, his wife Margaret died May 8th 1930, their son Mathew died May 17th 1930 and their daughter Margaret died August 11th 1977. Ann died November 13th 1977, their son Thomas died July 1st 1979. Timothy O'Dwyer died June 14th 1983. Riordan Daniel. Erected by John Riordan in memory of his son who died April 28th 1858 aged 10 years, his wife Anne alias Tracy who died May 28th 1866 aged 50 years. Mary Stapleton nee Treacy of Rosmult. John Treacy of Killoskehan and his wife Johanna nee Nolan. Edward Pennefether Edward of Rathmoy. Riordan John. Erected by Mary Riordan alias Tracey of Rosmult in memory of her husband who died July 28th 1882 aged 68 years, also her infant child died April 1873, Michael Joseph Kenny of Rosberkin, grandson of above John and Mary Riordan. John Riordan died January 4th 1928 aged 57 years. Mary Riordan died February 1929 aged 91 years, also Ellen Kenny eldest daughter of John and Mary died June 1st 1942. Catherine Collins nee Riordan died December 12th 1961 aged 84 years. This plot was renovated by request of the late Patrick Riordan who died March 1941 aged 69 years, buried in St Johns Cemetery, Long Island New York. Russell James. Erected by Anne Russell of Summer Hill in memory of her husband who died April 26th 1872 aged 57 years. Mary Russell died February 22nd 1968, James Russell died May 8th 1970. Jack Russell died October 27th 1987. Russell Patrick. Erected by Patrick Russell of Templemore in memory of his father who died November 16th 1902 aged 69 years, his mother Ann died November 5th 1913 aged 69 years and his sister Mary, also his aunts Margaret Russell and Nano Connor. The above Patrick Russell died July 25th 1938 aged 64 years. Russell Thomas of Borrisoleigh died June 21st 1984 aged 87 years and his sons Fintan Russell died February 26th 1945 aged 11 years. Liam Russell died August 26th 1956 aged 13 years, also his wife Annie died March 20th 1988 aged 92 years. Ryan Catherine died January 3rd 1956 aged 78 years. Ryan Catherine, Roo died November 26th 1943 aged 68 years, also her sister Margaret died January 25th 1945 aged 84 years, their brother Dan died May 10th 1946 aged 73 years. Con died May 10th 1956 aged 85 years, also Connie Stapleton died October 23rd 1986, John Stapleton died August 6th 1982, Margaret Stapleton died March 14th 1988. Ryan Daniel of Knocka, Drom died June 28th 1949 also his wife Catherine died May 13th 1964. Ryan Elizabeth of Currachduff died May 18th 1928 and her husband Patrick Ryan died May 13th 1941 and their son Thomas died May 4th 1956. Ryan John. Erected by Annie Ryan of Gurteen in memory of her father John who died October 17th 1907, also daughter Mary Ellen Comeford died March 30th 1906 aged 6 years. Annie Ryan died November 3rd 1939. Lizzie Comeford died March 23rd 1919 aged 24 years? Ryan Margaret. Erected by Margaret Ryan in memory of her mother who died March 15th 1887 aged 74 years, also her brother John died April 18th 1913. Daniel Ryan died October 4th 1921. Ryan Martin of Killoskehane died October 30th 1971 aged 82 years, also his sister Annie died January 5th 1962 aged 73 years, his wife Ellen died September 3rd 1980 aged 84 years. Ryan Martin, Killoskehane died October 30th 1972 aged 82 years, also his sister Annie died January 5th 1962 aged 73 years and his wife Ellen died August 3rd 1980 aged 84 years. Ryan Mary nee Corbett of Killatara? Died November 22nd 1954 also her husband Andrew died July 5th 1971, son John died October 6th 1985, interred in England, erected by daughter Joan. Ryan Michael of Currachduff House, Upper Church, formerly Rodardstown died February 11th 1919 aged 68 years, also his son Lieutenant Michael J Ryan, IRA, brutally murdered by the English hirelings October 25th 1920 aged 27 years, his wife Johanna nee O'Dwyer of Latterach died October 11th 1940 aged 84 years and his daughter Lena Ryan died January 7th 1955 aged 57 years. Ryan Michael of Knocka, Drom, Templemeore died February 2nd 1983 aged 66 years and his son who died in infancy November 9th 1962 also his wife Mary died December 20th 1993 aged 67 years. Ryan Timothy of Kilvicorous? died February 28th 1914 and his wife Kate died May 4th 1910, their son Patrick died January 17th 1918. Michael Ryan died April 18th 1970. John Ryan, erected by Michael Ryan of Kilvicorous in memory of his father John Ryan who died November 6th 1814 aged 70 years, his mother Elin Ryan died February 7th 1838 aged 67 years also the above Michael Ryan died November 27th 1856 aged 53 years. Scanlon Patrick, Barnane died January 1918, his wife Mary died February 1951, his brother-in-law Martin Maher died February 26th 1956 aged 80 years, their son John died December 18th 1957 aged 45 years, their son Billy died April 29th 1990 aged 77 years. Scanlon Patrick, Barnane died November 14th 1961 aged 57 years, also his wife Kathleen died May 6th 1976 aged 58 years. Shanahan Daniel of Clonismullen died July 3rd 1937, his wife Bridget died March 19th 1938, their son Patrick died September 4th 1957. Nora Shanahan nee Bourke died February 9th 1969, their son Daniel died April 3rd 1994 aged 76 years. Shanahan John formerly of Knockeravoola Upperchurch died March 29th 1975 also his wife Mary died April 28th 1938. Shanahan Nora died February 9th 1969. Shanahan Patrick, Church View, Drom died following an accident January 17th 1986 aged 19 years, also his mother Rita who died August 19th 1996 aged 72 years. Shelly Michael, Boheroamond. Erected by Martin Shelly in memory of his father who died 1846 aged 50 years and his mother Margaret died October 1868 aged 98 years. Sheridan Ellen nee McDonough died February 20th 1931. John Hogan , also two infant children, Michael Linch died October 20th 1778, also his mother Mary Gleeson. Slattery James died May 2nd 1970, his father John died February 5th 1909, his mother Bridget died February 6th 1921, his grandparents Edward and Johanna Ryan and uncle William Ryan. Stapleton Richard. Erected by Mary Stapleton of Killoskehane in memory of her husband who died June 6th 1889 aged 87 years also their daughter Margaret who died December 23rd 1873 aged 26 years. James died 1921 and his wife Mary died 1940. Patrick died February 4th 1977. Laurence died July 22nd 1977. Mary died August 11th 1983. Richard died March 13th 1991 aged 98 years. Treasy Nancy. Erected by Patrick Treasy of Killoskehan in memory of his wife who died June 16th 1831 aged 56 years, also his son Patrick Treacy (spelt this way on the headstone) of Killoskehan and his wife Catherine nee Pennefether and her son Patrick of Rosmult died March 1867, also Thomas. Troy Tobias died June 6th 1963 aged 87 years also his daughters Joan died May 10th 1924 aged 4 years, Delia died March 1st 1931 aged 3 years and his wife Johanna died March 4th 1979. Tuohy John. Erected by John Tuohy in memory of his father who died July 2nd 1858 aged 62 years. Barry Denis of Knocka died January 19th 1929, his wife Nora died July 7th 1913 interred in Glenkeen, their sons Edward died October 13th 1945. James died January 25th 1975, their daughter Elizabeth (Ciss) died July 31st 1983. Berkery Mary Anne of Killosken. Erected by John Cahill in memory of his sister who died February 6th 1951 and her husband John Berkery died November 11th 1942. Bohan William. Erected by Mrs Frances Bohan in memory of her husband William who died January 26th 1882 aged 78 years, her child Margaret died May 1851 aged 7 years. Son Daniel died October 4th 1888 aged 37 years. Grandchild Martin died December 12th 1889 aged 6 months. Daughters Mary and Frances. Son William, wife Ellen, their children Philip and John, Daniel and Thomas died USA. Thomas Cahill son-in-law died July 10th 1964, his wife Frances died August 8th 1970. William Bohan died August 24th 1983, Second Lieutenant Dublin Brigade Old IRA. Bourke Edward of Barnane died July 31st 1968 aged 71 years also his wife Sarah died August 23rd 1973. Bourke Martin (Matt) and Ellen. Erected by Martin Bourke of Barnane in memory of his parents Martin and Ellen, also his wife Johanna and brother and sister. Bourke William (Billy) of Drom died June 10th 1979. Bridget Ryan died June 11th 1932, Catherine Ryan died January 1st 1951. Philip Ryan died January 13th 1956. Boyle Patrick of Barnane died April 30th 1971 also his wife Catherine died November 4th 1981. Brererton John and Julia nee Crowe. Erected by Timothy Fogarty of Knocka in memory of his grandparents John and Julia who died June 4th 1877 and August 11th 1878 and their children. Burke Thomas of Fishmoyne died June 22nd 1961, his wife Johanna died May 26th 1966. Michael Burke died July 5th 1974. Butler John. Erected by T and J Butler in memory of their sons John who died November 24th 1904 aged 49 years, Lawrence died November 18th 1897 aged 28 years, their sister Elizabeth died April 12th 1911. Anastatia Butler nee Long died August 3rd 1917 aged 61 years. Butler John of Annefield erected by son Lawrence of Sandymount Green, Dublin died January 18th 1890 aged 33 years, also his son Thomas of 18 & 19 Gamdon Street Dublin died March 4th 1892 aged 30 years. Lawrence Butler above, died March 31st 1904 aged 73 years. Margaret Butler died January 16th 1911 aged 76 years. Patrick Kennedy of Annfield Bouladuff, Thurles died October 14th 1965 aged 59 years. Mary Kennedy died June 24th 1984 aged 74 years. Butler Mathew of Clonmore, Ballycahill died January 18th 1951 aged 70 years, his wife Johanna nee Finn died November 23rd 1967 aged 88 years. Erected by their daughter Margaret Hennessy. Cahill Catherine. Erected by Philip of Killaleagan in memory of his daughter Catherine who died September 1st 1842 aged 17 years. Cahill Johanna of Barnane, Templemore died August 2nd 1989 aged 65 years and her husband Thomas died November 18th 1990 aged 78 years. Cahill John of Killinan died October 29th 1944, also his wife Catherine died May 31st 1953, their son Jerry of Bray died February 22nd 1962, his father Philip died 1908 and his wife Mary nee Dunlea died 1938. Cahill Mrs Mary died January 23rd 1951. John Cahill of Fishmoyne died July 19th 1960, his wife Josephine died March 31st 1977. Bridget Cahill died December 8th 1981. Cahill Thomas BA, Connell's Cross died September 25th 1976 also his wife died February 19th 1992. Callanan Edward. Erected by Annie Callanan of Castleview Borrisoleigh in memory of her husband Edward who died November 25th 1930 aged 65 years. Callanan John of Bouladuff died December 13th 1956 aged 52 years also his wife Bridget died August 14th 1975 aged 58 years. Cantwell Catherine of Ballypatrick died March 10th 1947 also her husband Thomas died February 24th 1973. Carroll Bridget. Erected by Darby Carroll of Killahagen in memory of his daughter Bridget who died January 1st 1835 aged 20 years. Darby Carroll died May 2nd 1840 aged 70 years also his wife Margaret nee Talbot died February 9th 1859 aged 77 years. Carroll Johanna. Erected by William Carroll of Carraglass in memory of his wife Johanna who died June 12th 1895 aged 72 years, also his daughter Mary died April 1889 aged 42 years and his daughter Bridget died June 1891 aged 40 years. Carroll John . Erected by the Carroll Family of Killagahan in memory of their father John who died January 4th 1923, also his wife Mary who died March 26th 1946, their sons Michael died May 8th 1964, John died November 11th 1983, James died April 16th 1986, daughter Bridget died March 1st 1993. Carroll John. Erected by Rev. John Carroll (Aust) in memory of his father John who died April 14th 1884 aged 69 years also his mother Johanna nee Ryan died March 3rd 1890 aged 74 years and his brothers James died July 25th 1873 aged 23 years, Edmund died December 21st 1874 aged 26 years. Patrick died August 29th 1896 aged 34 years, Michael died October 10th 1893 aged 45 years. Rev Thomas J Carroll PP of Crookwell NSW Australia died May 16th 1908 aged 57 years. Rev John Carroll died May 30th 1910 aged 60 years. Carroll Michael of Drom died June 24th 1875 aged 73 years. Casey John of Killahagan died February 27th 1963 aged 84 years also his wife Mary died May 28th 1992 aged 78 years. Casey Michael of Barnane died August 31st 1959 aged 69 years also his wife Katherine died March 24th 1979 aged 88 years. Cleary Andrew of Lisheen died October 21st 1928, his mother Bridget died September 1st 1942, his father Philip died November 9th 1952. John died June 5th 1959, his wife Judith nee Brereton died June 27th 1992 aged 79 years. Cleary William of Drom died November 9th 1963 aged 82 years also his wife Norah died January 22nd 1964 aged 82 years, their son Hugh died September 3rd 1975 and Jack died January 20th 1983 aged 65 years. Condon James. Erected by Johanna Condon of Knocka in memory of her father James who died February 28th 1881 also her mother died November 28th 1885. Thomas Condon died June 3rd 1906. Catherine Fogarty died May 2nd 1913. John and Mrs Treacey died New York. John Fogarty died December 4th 1943. Johanna Condon died March 4th 1940. Costello Bridget died March 31st 1954 aged 62 years, her husband John died January 25th 1955 aged 75 years, also daughter Mary died June 23rd 1972 from Kilvilgorris also grand daughter Bridget Buckley died December 16th 1948 aged 5 months. Costello Margaret of Dovea died March 4th 1967 aged 54 years, Aunt, Bridget Long. Uncles Ned and John. Also her husband Bernard died December 23rd 1983 aged 89 years. Grandson John Paul Costello died in infancy 1979. Creighton John of Barnane died June 11th 1917, also his wife Margaret died January 17th 1934. James Hackett of Curraghglass died November 27th 1938 also his wife Mary died April 14th 1979 aged 99 years, their son James died August 8th 1980. Devitt Bridget of Killoskehane died December 20th 1957 aged 20 years, her grandparents Mrs Norah Kennedy died May 21st 1918 aged 44 years. Thomas Kennedy died December 27th 1950 aged 86 years , her great uncle Andrew Kennedy died December 17th 1961 aged 77 years. Patrick Devitt died January 27th 1975 aged 74 years. Doolan Winifred of Glareen Ballycahill died May 12th 1979. Dwan John. Erected by Edmund Dwan in memory of his father John of Knocka who died March 30th 1848 aged 47 years, also his sister Bridget died January 30th 1854 aged 17 years, his mother Mary Dwan nee Ryan died November 5th 1904 aged 91 years. Dwan Patrick of Borrisofarney died May 19th 1927 also his wife Bridget died January 28th 1918, his daughters Mary who died in infancy and Johanna who died November 30th 1958, his son Edward who died November 17th 1959. Michael Dwan died February 12th 1966 aged 82 years. James Dwan died November 23rd 1980, his wife Margaret died January 25th 1991. Dwyer Mrs KM. Erected by Michael Dwyer of Bouladuff in memory of his mother who died September 27th 1901 aged 33 years also Bridget Teresa who died December 30th 1899 aged 4 years also the above Michael Dwyer died December 2nd 1909. Egan Margaret. Erected by John Egan of Fishmore in memory of his wife Margaret who died March 20th 1883 aged 60 years also Philip Egan. Ellen Egan nee Stapleton. Ellen Egan nee Shelly. Johanna Egan. Phillip Egan who died January 18th 1970. Fahey Catherine died January 20th 1963 aged 66 years, her husband John died July 7th 1967 aged 66 years, also their son James died December 17th 1980 aged 43 years. Fanning John of Kilvacorus who died August 15th 1873 aged 31 years. (Margaret McGrath). John Fanning died August 20th 1876 aged 90 years also his wife Margaret nee Russell died June 15th 1882 aged 86 years. Fanning Joseph, Drom died January 17th 1976, also his wife Bridget (Della died February 19th 1986. Finn Batholomew of Kilfithmone Borrisoleigh died December 4th 1966 aged 86 years, his wife Mary died January 18th 1970 aged 74 years, daughters Bridget died July 27th 1983 aged 51 years, Nora died June 17th 1984 aged 61 years. Finn Denis. Erected by Mrs Finn in memory of her husband Denis who died January 23rd 1839 aged 72 years also her son Denis died August 11th 1818 aged 11 years. Finn Edmund of Kilfithmone died February 9th 1906 aged 85 years, his son Denis died February 12th 1889 aged 20 years, his brother Patrick died November 16th 1898, his wife Mrs Hanora Finn died June 19th 1917 aged 78 years. Finn James of Fishmoyne died March 21st 1898 aged 57 years. Maria Finn died January 11th 1897. William Finn died December 20th 1907. Catherine Ovaney died May 13th 1921 aged 98 years. Rev. Patrick Finn died May 21st 1932 aged 95 years. Finn John of Brooklyn died September 6th 1909, also Johanna Finn died August 23rd 1923 aged 87 years. Mrs Anne Finn died March 28th 1898 aged 97 years, also Edmund Finn died October 12th 1900. Fogarty Bridget Mary of Kilvilcorris died November 8th 1958 aged 54 years. Benedict Fogarty died February 20th 1969 aged 61 years. Patrick Fogarty died June 24th 1975 aged 67 years. William Fogarty died September 7th 1984 aged 73 years. Fogarty Catherine of Drom died February 25th 1947 aged 28 years. Grandmother Catherine Lanigan died April 2nd 1948 aged 95 years. Jeremiah Fogarty died April 1st 1963 aged 72 years, his wife Mary died March 2nd 1977 aged 94 years. Aine Fogarty nee Ryan died November 25th 1991 aged 57 years. Cornelius and Thomas Lanigan interred here. Fogarty Catherine of Knocka died January 23rd 1951. Fogarty Jeremiah. Erected by Jeremiah Fogarty in memory of his father Jeremiah who died July 26th 1924 aged 84 years also his mother Bridget who died September 21st 1925 aged 84 years. Jeremiah Fogarty died June 27th 1960 aged 75 years also his wife Johanna died March 14th 1969 aged 71 years. Fogarty Patrick of Drom died December 7th 1929 aged 70 years also his wife Margaret died December 19th 1912 aged 51 years. Son Philip died August 20th 1922 aged 28 years, daughter Mrs Johanna Cahill died December 31st 1929 aged 34 years years, his daughter Annie died August 31st 1929 aged 34 years, his daughter Mrs Bridget Ryan died June 22nd 1983 aged 86 years. Patrick Ryan died July 31st 1984 aged 84 years also Michael Maher of Rossa St Thurles died April 26th 1968 aged 63 years. Fogarty Patrick. Erected by Margaret Fogarty in memory of her husband Patrick who died August 26th 1867 aged 42 years. Son Patrick. Fogarty Patrick. Erected by Philip Fogarty of Drom in memory of his father Patrick who died November 6th 1850 aged 63 years. Fogarty Timothy died January 13th 1959. Margaret Ryan, wife of Timothy Fogarty of Knocka died March 15th 1930. Glasco John. Erected by Phillip Glasco in memory of his father John who died September 7th 1846 aged 76 years. Gleeson Bridget of Killoskehan died August 27th 1961, her husband John died October 15th 1962, their son Cornelius (Con) died June 25th 1991. Gleeson Bridget of Killoskehan died May 7th 1970 aged 2 years 6 months, erected by her parents Con and Rita Gleeson. Gleeson Patrick of Roardstown died September 27th 1949, his mother Johanna died April 18th 1962, their daughter Margaret of Ranelagh Dublin died November 2nd 1990, their son Rev. Patrick Michael, PP of Cotati, California died April 15th 1991. Harrahill William of Knocka died November 10th 1945 aged 75 years, also his wife Catherine died April 8th 1965 aged 79 years, her mother Ellen Long died December 8th 1939. Johanna Harrahill died March 22nd 1976 aged 53 years also her husband John died June 3rd 1987 aged 75 years. Hassett Peter of Barnane died November 15th 1971. John J died November 23rd 1955. Bridget died October 19th 1932. Thomas died April 4th 1957. Hennessy Aiden died September 12th 1990. Hennessy Mary nee Kennedy died January 4th 1943. Hennessy Mrs nee Fogarty, wife of Daniel died July 8th 1908 aged 46 years, daughter Mary Josephine died October 21st 1919 aged 26 years. Above Daniel died March 30th 1927 aged 81 years. Joespeh Hennessy of Killoskehane died July 12th 1986 aged 93 years, his wife Annie nee Bourke died December 13th 1986 aged 87 years. Hennessy Richard. Erected by Mrs R Hennessy of Killiskehan in memory of her husband Richard who died March 6th 1881 aged 68 years. Mrs R Hennessy died November 13th 1897 aged 78 years. Thomas Hennessy of Adamstown died December 2nd 1925 aged 64 years also Alicia wife of James died February 27th 1951 aged 90 years. Hickey The Very Rev Philip PP Drom and Inch died January 6th 1955 aged 81 years and 51 years of priesthood. Higgins John of Barnane, Drum died July 5th 1942 aged 69 years. Hogan Irene of Drom died January 1989 aged 50 years, also her daughter Clare died October 28th 1998 aged 35 years. Hogan William of Drom died March 24th 1859 aged 70 years. Howard Honoria died March 31st 1871 aged 76 years. Denis Talbot of Ballinlonty died May 29th 1917 also his wife Mary died June 3rd 1938, their daughter Bridget died November 20th 1961. Mrs Mary Talbot of Dublin died September 21st 1949. James Talbot died July 19th 1981. Edward Talbot died July 19th 1981. Hynes Patrick of Barnane died January 22nd 1942 aged 83 years his wife Nora died May 18th 1948 aged 83 years, his son Thomas died January 24th 1959 aged 56 years, also his parents Denis and Catherine, also his son Denis died November 30th 1971. Kelly John of Leugh, Thurles died January 15th 1960 aged 38 years, also nephew Michael late of Barnane interred in Australia died July 17th 1980 aged 35 years. Kenneally Patrick of Barnane died March 4th 1972, daughter Elizabeth died in infancy. John Kenneally died August 8th 1970, his wife Bridget died April 17th 1961, their parents Thomas died October 25th 1922 and Johanna died May 31st 1917. Kennedy Andrew of Kilvilcorris died October 12th 1989, his mother Johanna May 22nd 1955, his father James died July 9th 1957, his sister Mrs Hannah Ryan died May 10th 1940. Kennedy Cornelius of Liscrea died August 1901, also his wife Bridget died March 1908, son Cornelius died August 1944, his wife Mary died October 1925 and their infant son Jeremiah died September 1914. Their Family, Bridget Kennedy of Liscrea died December 1976, Michael Kennedy of Limerick died May 1977, Martin Kennedy of Inch died February 1978, Ellen Campion of Kilkenny died March 1982, Edmund Kennedy of Swords died February 1989, John Kennedy of Swords died January 1991 and Catherine Ryan of Dovea died March 1992, Cornelius Kennedy of Inch died June 1993. Kennedy John of Kilvilcorris Drom died November 1st 1896 aged 60 years, also his wife Anne Kennedy died December 6th 1931 aged 81 years, daughter-in-law Kate Kennedy died January 8th 1922 aged 37 years and his son John died October 25th 1924 aged 38 years, daughter-in-law Margaret Kennedy died October 2nd 1939 aged 60 years, James Kennedy and his wife Peggy nee Hickey, parents of above John. Keogh Margaret of Barnane died September 13th 1972 also her husband William died October 28th 1988 aged 84 years. Keogh Mrs Margaret nee Maher of Ballinaglouch? Died February 28th 1926 aged 64 years. Sister Ellen Quinlan nee Maher died September 1958. Nora Gorman Camblin of Roscrea died January 15th 1982. John Camblin of Roscrea died June 11th 1989 aged 93 years. Kiely John, London and Knocka died July 22nd 1979 aged 49 years. 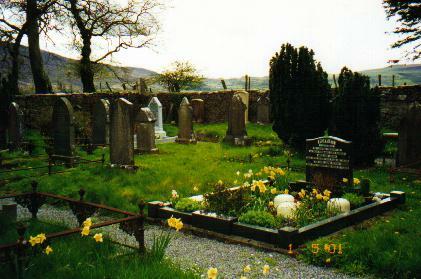 Kiely Thomas of Knocka died March 9th 1975 aged 84 years also his wife Sheila died November 26th 1982 aged 80 years. Erected by Sheila and son Michael. Kirwan James of Knocka died October 18th 1916 aged 76 years, his wife Margaret died March 2nd 1938 aged 87 year, their sons Edward died January 6th 1918 aged 32 years, Michael died February 18th 1956 aged 76 years. Laffan Hanora died December 11th 1911 aged 82 years, her son Thomas died August 4th 1934 also his children and his wife Mary died March 4th 1954 aged 65 years. Michael Laffan died March 15th 1952 aged 41 years. Laffan John of Drom died December 9th 1908, his mother Mary Laffan died October 10th 1902 also Mrs Johanna Laffan nee Long wife of Michael Boland died February 26th 1934. Laharte Jane of Drom died May 30th 1956 aged 84 years. Catherine Ryan nee Laharte died March 27th 1972, CPT Peter Ryan died January 21st 1979. Leahy Catherine of "The Orchard" Castleiney died September 28th 1928 aged 74 years, also her husband Michael died February 16th 1938 aged 94 years, their son Patrick died May 10th 1929 aged 37 years, son Edward died March 21st 1971 aged 75 years. Mary Anne Long died September 5th 1975 aged 84 years. Ellen Long died August 12th 1883, her husband Patrick died October 31st 1888, their sons John died October 18th 1916 and Richard died August 16th 1931. Long Bridget nee Butler died November 15th 1960 aged 45 years. Long Edward of Dovea died January 29th 1922 aged 76 years, his son Laurence Long of Mountcatherine died August 2nd 1922 aged 36 years, also his wife Elizabeth Long died August 2nd 1932 aged 70 years and Bridget wife of Laurence Long died July 20th 1955 aged 66 years. Edward Long of Mountcatherine died April 10th 1991 aged 71 years. Bridget (Ciss) Long died April 14th 1969 aged 80 years. Thomas Long died April 18th 1971 aged 84 years. John Long died June 29th 1971 aged 85 years. James Long of Mountcatherine died January 19th 1982 aged 59 years. Long Honoria wife of Thomas Russell of Garretsville died August 15th 1862 aged 32 years and their daughter Ellen wife of John Maher of Drom who died December 12th 1864 aged 30 years and their son Joseph who died April 18th 1869 aged 35 years, also the above Mary Long died April 2nd 1880 aged 84 years. Margaret Long died September 15th ? aged 86 years. Long James of Monroe died April 22nd 1928 aged 66 years, daughters Nora and Mary died aged 15 months and Mary B Long died June 24th 1946 aged 50 years, wife Mary Long died June 15th 1953 aged 88 years. Hanora Long died December 10th 1997 aged 98 years. Long John. Erected by Mary Long nee Lynch of Ballyknockan late of Barnane in memory of her husband John who died February 5th 1865 aged 75 years, also her daughter. Long Martin of Donnybrook Dublin died December 10th 1923 aged 53 years, brother Thomas of Harold's Cross Dublin died June 2nd 1929 aged 68 years. Lillian O'Doherty of Killahagan died February 12th 1988 aged 70 years also her husband James died October 12th 1988 aged 71 years. Elizabeth Bridget O'Doherty of Killahagan died April 2nd 1951 aged 6 months. Long Michael husband of Bridget died June 16th 1995 aged 92 years. Long Mrs BI died November 13th 1885 aged 65 years. Mrs Mary Kennedy nee Long of Kilnafinch died March 19th 1902 aged 61 years. Long Patrick. Erected by Johanna Boland nee Long in memory of her father Patrick of Ballypatrick who died January 23rd (28th) 1891 aged 85 years. Long Patrick. Erected by John Patrick Long of Chicago USA in memory of his father Patrick Long who died 1862 aged 64 years, also mother Honora Long died 1883 aged 72 years, their brothers James 1888 aged 60 years, Andrew 1895 aged 55 years. Sister Honora 1905 aged 58 years. Lowry Mary nee O'Meara. Erected by Michael Lowry in memory of his mother Mary who died November 1st 1885 aged 65 years. Magher Elinor. Erected by Patrick Magher of Barna in memory of his daughter Elinor who died June 14th 1845 aged 14 years and 3 months. Himself died January 1862 aged 78 years, his wife Allas died October 1864 aged 80 years, his son Patrick died November 6th 1891 aged 68 years. Grandson William died May 22nd 1894 aged 26 years. Edward Maher of Barna died November 8th 1925. Patrick Maher of Kiltilleha died January 28th 1946 also his wife Nora died August 6th 1954 and their children Jeremiah died June 8th 1925. Edward died May 19th 1980, Patrick died March 17th 1996. Maher Bridget. Erected by Tobias Maher of Toher in memory of his wife Bridget who died January 20th 1909 aged 60 years, daughter Mary died November 20th 1877 aged 1 year, his mother Mary Maher died December 2nd 1894 aged 94 years, his sister Ellen died March 2nd 1903 aged 62 years. Mick died March 20th 1914 aged 36 years. Julia died March 3rd 1936 aged 14 years. Michael died July 23rd 1938 aged 23 years. James died January 5th 1956 aged 79 years. Julia Maher died January 4th 1974 aged 91 years. Maher Daniel. Erected by Ellen Maher of Clonboo in memory of her husband Daniel Maher who died January 29th 1903 aged 57 years also her daughter Mary Kate died April 15th 1909 aged 7 years and Baby 7 months. Maher Denis of Knocka died November 11th 1976 also his wife Anne died August 20th 1996. Maher Ellen. Erected by John Maher of Loughmore in memory of his mother Ellen of Clonboo, who died November 9th 1919 aged 58 years also his brother Ed Maher died May 28th 1938, the above John died September 4th 1945, sister Bridget died October 17th 1954, his son Eamon died August 2nd 1973, his wife Josephine died May 29th 1994. Maher Jeremiah of Knocka died May 12th 1976 aged 90 years also his wife Mary died July 28th 1980 aged 94 years. Maher John of Drom died October 17th 1934, his wife Johanna died November 2nd 1957, their son Joseph died November 3rd 1975, their son John died November 24th 1980, their son Patrick died March 6th 1984. Maher John. Erected by John Maher of Drom in memory of his father John Maher who died January 28th 1835 aged 76 years also the above John died November 1837 aged 46 years. Maher Martin son of William and Susan Maher died October 20th 1977. Thomas Maher of Knocka died May 5th 1881 aged 42 years also his wife Johanna died March 1925 aged 88 years. Grandchildren Joan and John died young. Son William died November 15th 1943 aged 68 years also his wife Susan died January 8th 1966. Maher Patrick of Drom died March 28th 1969 also his father Daniel died December 29th 1953, his mother Johanna died August 14th 1950, son Richard died in infancy, also his wife Norah died March 18th 1979, son Daniel Maher died March 12th 1991. McGrath Mary of Barnane died December 8th 1972 aged 61 years, her husband William McGrath died February 4th aged 85 years. McGrath Michael died October 1st 1951 aged 87 years, his wife Bridget died December 12th 1961 aged 98 years, their son Michael died November 17th 1961 aged 54 years. McGrath Michael. Erected by Michael McGrath of Barnane in memory of his father Michael who died 1912 aged 81 years, his mother Mary died January 15th 1922 aged 92 years, his brother John died September 28th 1891 aged 23 years. Tobias died February 17th 1942 aged 70 years, also his sisters Maggie and Mary who died young and his daughter Mary. Nesbitt James 1879 - 1944 of Clonismullen, Drom, his wife Margaret Nesbitt 1877 - 1965, his brother Martin Nesbitt 1902 - 1920, his family Josie 1917 - 1920, Patrick 1917 - 1940, William 1906 - 1973, John 1906 - 1978, Bridget 1914 - 1948, James 1912 - 1934, Michael 1908 - 1991 Roardstown, Drom, his wife Nora Nesbitt 1908 - 1979 and their infant sons Thomas and Michael. O'Brien James of Coolgorth died July 27th 1957. Mary O'Donoghue died August 4th 1986 aged 91 years. O'Donovan Patricia of Roo Kiloskehan died March 24th 1966 and her brother James also her father and mother. O'Dwyer Thomas of Drom died January 6th 1974. O'Halloran Denis of Barnane died March 23rd 1968 also his wife Johanna died January 1st 1962. O'Halloran Johanna. Erected by Michael O'Halloran of Killoskehan in memory of his wife who died March 17th 1955, his son Rev Michael O'Halloran, sub deacon died in LA May 31st 1948, also her husband Michael died September 26th 1965. O'Keefe John and Mary Anne. Erected by Catherine and Mary O'Keefe in memory of their parents John and Mary of Barnane, also Charles and Catherine O'Keefe of Rathleasty and Aunts, Bridget, Mollie, Ann and Catherine of Rathleasty, also the above Catherine died September 13th 1981, Mary died September 21st 1982. Purcell Michael of Drom died December 4th 1941 also his wife Mary died June 10th 1959, their son Michael died March 21st 1989. Purcell Philip. Erected by Ellen Purcell in memory of her husband who died August 23rd 1899 aged 78 years, also her son Patrick died August 15th 1893 aged 32 years, also the above Ellen died February 22nd 1904 aged 85 years. Quilty Ellen died February 22nd 1948 also her sister Mrs Mary Stapleton of Millmount Borrisoleigh died June 8th 1931 aged 83 years. Russell Mary. Erected by James Russell in memory of his wife Mary who died September 28th 1927 aged 57 years, the above James died June 30th 1945 aged 75 years, his son John died November 16th 1964 aged 64 years, his wife Josie died December 4th 1986. Phillip Russell died March 10th 1988 aged 86 years. Ryan Bridget of Roardstown died December 18th 1945 aged 76 years. Bridget M Kennedy nee Ryan of Roardstown died January 30th 1990. Ryan Catherine. Erected by John Ryan in memory of his wife Catherine alias Kelly who died January 29th 1890 aged 60 years. John Ryan died February 1905. Matthew Ryan died February 16th 1932 also his wife Anastatia died February 13th 1955, their sons James died May 15th 1967, Matthew died September 13th 1945, Patrick died September 26th 1973, also Margaret wife James died October 25th 1983. Ryan Daniel Lanigan. Erected by Thomas Lanigan Ryan Main Street Borrisoleigh in memory of his father Daniel who died October 26th 1917 aged 65 years, his mother Hanora died May 30th 1958 aged 101 years, his wife Mary nee Hackett died March 20th 1951, the above Thomas died February 6th 1966 aged 76 years, his sister Janie died April 21st 1966 aged 75 years. Mary (Dill) died November 7th 1978 aged 93 years. Anastasia White nee Lanigan Ryan of London and formerly of Main Street Borrisoleigh died June 28th 1997 aged 96 years. Ryan Denis. Erected by William Ryan of Drom in memory of his father who died May 14th 1881, his mother Honaria Ryan nee Purcell died August 26th 1903, his grandmother Bridget Purcell nee Ryan died May 14th 1885, his sister Bridget died September 14th 1872, his brother Thomas died March 14th 1881, his wife Margaret Ryan died November 3rd 1921, the above William Ryan died September 22nd 1963. Ryan Ellen of Killoskehane died January 4th 1947 also her husband Malachy (Lant) died November 14th 1977, their sons Michael Ryan died November 24th 1986. Daniel died February 17th 1987, John died January 17th 1988. Ryan James of Dovea died May 7th 1961, his little son Edmund died Mary 25th 1946, his brother Patrick died April 22nd 1972, his wife Catherine died March 20th 1992 aged 87 years. Ryan John Lanigan of Borrisoleigh died August 9th 1920 aged 76 years, also his mother Mary nee Lanigan died May 19th 1902 aged 92 years, also 4 children interred in Glenkeen, wife Mary Lanigan Ryan nee O'Brien died January 18th 1944, also son James died November 1st 1960. Ryan John of Connell's Cross Drom died November 4th 1995 aged 89 years. Ryan John. Erected by Edmund Ryan of Dovea in memory of his father John who died June 26th 1847 aged 70 years, the above Edmund died March 1865 aged 56 years, his wife Ellen died August 1897 aged 80 years, also his son James died March 1876 aged 8 years. Renewed by his son Edmund in 1905. Ryan Pat. Erected by John Ryan in memory of his father Pat who died August 15th 1887 aged 65 years, also his mother Mary died October 21st 1902 aged 76 years, his niece Bridget Ryan died May 20th 1903 aged 2 years, his brother Timothy died January 1st 1942, the above John died March 27th 1943. Johanna Ryan nee Treacy died May 18th 1954. Winnie Ryan nee Bannon died November 5th 1993 and her husband Martin died October 14th 1994. Ryan Thomas of Ballinvena, Toomervara died August 11th 1937, his son Thomas died July 8th 1924, his daughter Mary Josephine died April 4th 1932, his wife Mary nee Kennedy died July 3rd 1941. Ryan Tim of Knocka died February 10th 1968 also his wife Mary died February 21st 1968, son Matt died January 23rd 1991 interred at Clifton. Sheridan Anastasia of Killoskehan died January 10th 1980, her brother Patrick died June 19th 1991. Sheridan James of Barnane died January 21st 1988 aged 83 years. Sheridan James of Killoskehan died April 27th 1918, his wife Anastasia died November 16th 1945, their son died March 25th 1976. Sheridan Michael of Barnane died February 24th 1968 aged 80 years. Shortt Patrick of Ballypatrick died July 17th 1918 aged 79 years, also his wife Mary died December 5th 1937 aged 88 years, son Martin James Shortt died May 6th 1955. Ellen Short died May 15th 1955. Stapleton John. Erected by Richard Stapleton of Knocka in memory of his father John who died October 1879 aged 80 years also his mother Winifred who died May 1896 aged 76 years, his sister Ellen Stapleton died December 1870 aged 25 years, his sister Anastasia died August 1872 aged 23 years, his brother Patrick died September 1887 aged 34 years, also above Richard Stapleton died July 21st 1905 aged 58 years. Stapleton Maria. Erected by Denis Stapleton in memory of his wife Maria nee Rogers who died November 8th 1880 aged 85 years, also her sister Annie Rogers died October 6th 1848 aged 11 years. Sweeney Cornelius died April 20th 1848 aged 75 years also his wife Mary alias Bannen died August 12th 1867 aged 86 years. Sweeney Edmund. Erected by Cornelius Sweeney of Drome in memory of his son Edmund Sweeney who died October 21st 1841 aged 31 years. Thompson Sarah nee Casey of Barnane died August 21st 1992 also her husband John died March 25th 1983. Daughter of Michael and Catherine Casey nee Considine. Troy Tobias of Knocka died June 1908 aged 63 years and his wife Margaret died October 1941 aged 83 years and his son Joseph died Good Friday April 1957 aged 62 years. Catherine Troy died February 20th 1963 aged 80 years. Eileen Troy died May 27th 1991. Michael Troy died November 27th 1972 aged 89 years. Troy Tobias of Knocka Drum, died June 20th 1963 aged 83 years. Wixted John NT Upperchurch died May 6th 1961 aged 58 years, also his wife Mary E nee Ryan NT died September 15th 1987 aged 90 years. Young Elizabeth of Knocka died July 31st 1990 also her Husband James died December 31st 1993. Young Samuel of Barnane died March 24th 1970 also his wife Josie died May 8th 1970, his brother William died October 31st 1963. Younge Edmund of Barnane died February 8th 1958 also his wife Bridget died January 25th 1967. B..d..g..y William died 9.9.1920 aged 54 years, also his wife Matilda died 10.10.1942 aged 72 years, also their daughter ? died 2.10.1952 aged 40 years. Bradshaw Peter Roe died 20.4.1896 aged 21 years. Bradshaw Richard of Summer Hill died 25.6.1906 aged 69 years. Carden Captain AM, DL of Barnane died 14.6.1932 aged 79 years. Carden John Battier Esq, second son of RM Carden Esq of Fishmoyne died 27.10.1858 aged 34 years. Carden John St Ledger died 24.7.1891 aged 19 years. Youngest son of Lt Col. Carden of Fishmoyne. Carden Lt Col HR Carden DL of Fishmoyne (late of 77th Regiment died 15.12.1880. Carden Major John Rutter 15th Ludhiana Sikhs, youngest son of Andrew Carden of Barnane died 30.4.1915 of wounds while leading men against a German position near Ypres, Flanders, three days before he died aged 47 years. Buried in a Military Cemetery, Boulogne, with his other fallen comrades. Carden Richard George DL of Fishmoyne died 7.7.1916. Carden Richard WT, eldest son of Richard M Carden of Fishmoyne Esq died 18.5.1838 aged 16 years. Clarke Evelyn Frances, wife of Loftus Otway Clarke, Indian Civil Service and daughter of Lt. HR Carden DL of Fishmoyne, County Tipperary died aged 48 years on a visit to Agra, buried there. Curran John J died 6.5.1976. Fryday Florence wife of the late Thomas Fryday, Clune, Gooldscross died 7.3.1881 (1981) aged 75 years. Holmes Mary Anne of Rathleisty died 16.11.1930 aged 57 years, also her daughter Sarah Jane who died 30.9.1967. Irwin Nellie, youngest daughter of Thos. Staples Irwin of Drumglass, Tyrone and wife of Edward Downes Martin of Killoskehane Castle died Kingstown died 16.7.1904. Johnston James of Barnane died 24.12.1970. Maskell Mabel 1893 - 1977. Montgomery Phillip Esq, late of Dublin and Kilfithmone, Clebe EX11 (12.11) MDCCCLXVI. Mooney Marie, The Commons, Thurles died 7.3.1982, also her husband George died 31.3.1982. O'Neill Ellen died 1.1.1929 aged 51 years. O'Neill Evelyn died 30.5.1930 aged 19 years. O'Neill George. Erected by John O'Neill of Glantane in memory of George O'Neill who died 22.4.1919 aged 81 years. O'Neill John of Glantane, Templederry died 10.9.1926 aged 57 years. O'Neill Mary died 15.2.1937 aged 23 years. Owens Mary. Erected by John Owens of Barnane in memory of his wife who died 1.10.1885. Pike Elsie died 18.7.1907 aged 78 years. Pike Rev. Thomas MA, Prebendary of Fennor for 22 years, Rector of this parish died 21.4.1912. Rose John of Kilfithmone died 4.12.1995, also his wife Jane Ester died 4.7.1983. Rusk Jack of Killea died 4.7.1983. Rusk James of Kilfithmone died 23.7.1971, also his wife Sarah died 23.9.1971. Sheppard Matthew Samuel of Barnane died 12.3.1975, also his wife Emma Dorothea died 17.9.1979. Stanley Martha nee Woods of Graige died 18.1.1982 aged 66 years. Stewart Elizabeth Jane, our mother who was called home on 27.3.1975. Stewart George Robert died 8.6.2000. Stewart Robert Deacon, our father who was called home on 12.4.1975. Thomas Francis Heaton, Rector of this Parish for 18 years, died 24.11.1889 aged 88 years, also his wife Fanny Jane wife of Rev Francis Heaton Thomas died 23.11.1888. Thompson John of Barnane died 11.3.1915 aged 70 years. Wallace Jane died 10.2.1876 aged 9 months. Wallace John Charles of Sunnyside, Templederry died 11.1.1995 aged 80 years. Wallace Margaret Jane (Rita) of Summerhill House, Borrisoleigh (nee Fryday, Clune, Gooldscross) died 9.10.1987 aged 52 years. Wallace Phoebe Violet, Sunnyside, Templederry died 29.12.1954 aged 74 years, wife of John Charles Wallace. Wallace Robert of Summerhill died 30.3.1938 aged 52 years, also his wife Eileen Maude died 27.4.1977 aged 79 years. Wallace Sarah Jane died 17.12.1944 aged 87 years. Wallace Sarah. In memory of Sarah Wallace of Glencairn who died Thursday 24.3.1910 aged 77 years, also her husband James died 29.5.1913 aged 83 years. Wallace William Diamond died 12.3.1966. Wallace William of Glantane died 14.2.1900 aged 101 years. Worthington George died February 1958, also his wife Hanora died September 1973. Barry Martin died 15.2.1964 aged 62 years, his wife Kathleen died 6.7.1969 aged 64 years, his parents Patrick and Elizabeth. Also his forebears. Butler James died 6.10.1937 aged 61? years, his wife Mary died 30.8.1946 aged 57 years and their son Patrick died 8.8.1943 aged 14 years. Butler Thomas of Annfield died 2.2.1936 aged 85 years. Bridget nee Doyle died 24.8.1911 aged 74 years also daughter Joanne died 28.10.1876 aged 4 years. John Butler of Annfield died 1.7.1936 aged 63 years, his brother Jeremiah died 8.1.1942 aged 70 years, his wife Ellen nee Percell died 29.3.1957 aged 79 years, their son Thomas died 22.5.1922 aged 6 years. Doyle Darby of Annfield died 20.8.1874 aged 78 years, his wife Bridget died 10.5.1866 aged 64 years. Margaret Doyle died 16.4.1871 aged 31 years. Hayes John died 30.3.1872 aged 87 years. Mary Hayes died 10.8.1871 aged 72 years. Hayes John of Clonmore died 2.4.1949, his wife Madge died 13.1.1934, his sister Mary died 30.3.1949. Hayes Patrick died 15.4.1798 aged 40 years. Lacy James. Erected by James Lacy of Cottage in memory of his father James who died 26.3.1820 aged 39 years, also his brother Michael died 16.12.1832 aged 27 years. Maher Denis of Pallashill died 8.10.1959, his wife Mary died 22.2.1972. Maher Denis. Erected by Philip Maher of Pallashill in memory of his father Denis who died February 1886 aged 74 years, his mother Sarah died 1.3.1886 aged 70 years, his children, Joseph and Gorge died young, also above Philip died 29.3.1921 aged 75 years, his daughter Kattie died 12.8.1924 aged 27 years, his wife Mary died 5.3.1929 aged 78 years. Meagher Edmond of "Golden Grove:, Annfield died 8.6.1932 aged 75 years, his wife Johanna nee O'Dwyer died 24.4.1935 aged 73 years, their daughter Kathleen died 20.7.1950. Philip Meagher, Fenian, died 1.12.1894 aged 79 years, his wife Maria died 14.1.1872 aged 43 years. Meagher Philip of Annfield, 2nd Tipperary Brigade IRA 1918 - 1923, died 16.1.1967, wife Katherine died 27.10.1967. Ryan James of Finnahy, Upperchurch died 7.7.1964, Catherine died 23.11.1987 aged 101 years. Ryan Patrick died March 1892 aged 80 years, also his wife Hanoria died May 1901 aged 70 years, also his mother. Ryan Patrick of "Waterloo Cottage", Ballycahill died 21.5.1983, his wife Ellie died 13.8.1992 aged 85 years. Woodlock James. Erected by Timothy Woodlock of Cottage in memory of his father James who died 21.3.1929, his mother Anastasia died 18.2.1936. Timothy Woodlock "Cottage House", Drombane died 26.6.1972 aged 85 years. Woodlock Johanna born 1901 died 1907. Anastatia 1908 - 1921. Philip 1924 - 1931, Josephine 1912 - 1931. Their mother Ann Woodlock died 18.11.1965. Pierce Woodlock died 28.2.1969, his brother Patrick died 14.2.1957. James Woodlock died 5.4.1990 aged 87 years. Anderson John James died 24.12.1897 aged 87 years, Mary Ann died 17.11.1885 aged 77 years, Robert died 15.1.1886 aged 37 years. Brown Thomas of Farmhill died 15.11.1916 aged 72 years, his wife Sarah died 11.3.1903 aged 53 years, son-in-law John Creighton died 25.5.1904 aged 45 years, grand daughter Eileen Russell died 29.9.1907, John Barry died 16.1.1947 aged 78 years, his wife Jane Barry died 27.2.1955 aged 72 years. Callahan Mathew died 26.12.1872 aged 86 years and his wife Margaret died 12.6.1874 aged 84 years. Cowan John died 17.7.1909 aged 55 years, wife Margaret Sara died 3.11.1957 aged 93 years. Curtis William died 11.9.1893 aged 63 years, wife Mary died 28.7.1874 aged 38 years, eldest daughter Annie died 31.1.1930 aged 72 years, third daughter Mary died 6.7.1934 aged 73 years. Donnell James died 1.8.1846 aged 85 years, son Samuel died 2.7.1875 aged 62 years, Margaret his wife died 28.10.1798 aged 36 years, Margaret his daughter died 6.3.1842 aged 65 years. Donnelly Charles and Mary, erected by MJ Kerr in memory of her parents, also her grandfather Richard Quinn, farmer. Fraime Mary Jane died 20.9.1870 aged 19 years. Frame Thomas died 5.12.1891 aged 65 years, Rebecca Frame died 19.10.1893 aged 32 years. Gordon Eliza wife of Samuel Gordon of Strabane died 15.11.1877 aged 39 years, daughter Martha Isabella Portor died 28.4.1877 aged 4 months. Gordon, The Gordon Family of Edymore 1743 - 1954. Hall John died 28.11.1872, wife Mary died 13.10.1887, daughter Catherine died 19.6.1915, son Robinson died 29.7.1919. Hamelton Robert, Surgeon died 7.1.1818 aged 34 years, John Lyon died 18.1.1855 aged 55 years, John Lyon son of above died 27.2.1804 aged 29 years, George Lyon eldest son of John died 13.2.1865 aged 38 years, Elizabeth Knox, wife of John Lyon died 27.11.1875 aged 76 years, Robert Lyon died 4.4.1890 aged 53 years. Hamilton George of Ballyhether died 24.2.1884 aged 70 years, son Alexander died 3.6.1894 aged 30 years, daughter Martha died 30.5.1912, wife Elizabeth Jane died 31.7.1923 aged 95 years, son James died 25.6.1925. Hannah Robert of Strabane died 29.6.1851 aged 52 years, also his wife Eliza Holmes born 10.4.1806 died 25.1.1886, Mary Maginnis Hannah fourth daughter died 27.5.1900, Sarah Ann, eldest daughter died 29.11.1907, Rebecca widow of Charles A Holmes died 18.9.1929 aged 84 years. Holmes John JP of Brosney died 12.6.1866 aged 84 years, wife Eliza died 25.12.1876, children Joshua Alfred died 29.9.1871, Robert McCrea Holmes died 8.2.1873, James died 14.1.1876, Charles Albert died 14.12.1881, David died 17.4.1885, John died 21.8.1887, Henry MB died 18.4.1892, Mary died 4.5.1909, William Christopher McCrea Holmes died 14.5.1911. Houston, erected by James and Jane Houston in memory of their children, Rebecca M died 20.5.1882 aged 4 years and James R died 20.6.1882 aged 3 years. Hunter Sarah died 21.12.1858 aged 74 years, her husband John died 9.7.1864 aged 85 years. Knox John of Ballyskeagh died 12.4.1836 aged 84 years, John died 7.2.1839 aged 38 years, George Knox of Anugua died 1.9.1844 aged 41 years, buried at Parhan Church, Walter McLachlan Knox infant, died 25.3.1846, Mary Knox died 17.9.1849 aged 82 years, Dorothea Knox died 29.10.1850 aged 45 years. Knox Martha died 16.3.1841 aged 85 years, her husband Thomas died 13.12.1850 aged 95 years, daughter Jane Knox died 15.3.1867 aged 73 years, Bessie Knox died 21.10.1921 aged 69 years. Lindsay Jas. of Tullyard died 2.4.1861 aged 78 years. Maclaughlin George of Maghereach died 13.1.1890 aged 83 years, his wife Lily Margaret died 24.8.1903 aged 81 years, Margaret Isobel child of John and Mary died aged 9 days, his daughter May died 26.9.1934 aged 21 years, Mary Jane, wife of John S Maclaughlin died 24.10.1939 aged 64 years, above John died 16.11.1948 aged 89 years. Maclaughlin Henry died at Ballygallaghan on 22.5.1867 aged 55 years, his wife Mary Ann died 6.4.1906 aged 82 years, daughter Anne died 22.8.1904, son Surgeon Col. John Maclaughlin RAMC died 23.1.1933 aged 76 years. McCleery Fanny, erected by Samuel McCleery in memory of his wife who died 16.7.1888, son Samuel died 10.5.1884, James Johnston died 30.8.1897, above Samuel died 22.12.1927 aged 85 years, daughter Annie died 26.8.1929. McConaughey Sarah died 5.10.1817 aged 26 years. McCrea James of Gobnafala died 26.4.1828 aged 29 years. McCrea Rebecca Margaret wife of John McCrea died 23.7.1864. Murdock Samuel William and Isabella 1896. Patterson William died 22.5.1846 aged 62 years. Robinson Joseph died 12.12.1909, Fanny (Allen) died 10.3.1888. Ross Albert Nesbitt Winslow born 17.3.1842 died 21.5.1869, William Latimer Ross born 29.3.1843 died 13.3.1872, sons of Albert Ramsey Ross of Woodend, Winnie daughter of CR Ross born May 1867 died March 1878. Sinclair Elizabeth E of Philadelphia USA and Holyhill born 25.7.1874 and died 11.4.1957. Sinclair Isabella, daughter of James and Dorothy died 11.5.1864. Sinclair James of Holyhill died 18.2.1865 aged 94 years, also Dorothy, wife of James, Rev Samuel Law died 6.11.1864 aged 78 years. Sinclair William HM of Holyhill and Bonnyglen born 24.12.1868 died 2.8.1930. Sinclair William of Holyhill in this Parish, born 17.4.1810 died 25.8.1896, Sarah his wife, daughter of James Cranbourne Strode of Shernfold Park Kent died Christmas night 1898 aged 83 years. Smyth William of Dysart died 22.8.1829 aged 73 years also William his grandson died 21.11.1843 aged 3 years 7 months, Robert died 21.4.1850 aged 61 years, Isabella Jane wife of Francis Smyth of Dysart died 8.5.1863 aged 60 years, also husband Francis Smyth died 29.2.1877 aged 86 years. Stewart Ezekiel J died 12.2.1850 aged 17 years. Weir James died in Canada 7.8.1875 aged 49 years, also Hessie his wife, son John died 23.11.1885 aged 43 years, son David died 21.7.1890 aged 75 years. Williamson James died 26.6.1904 aged 58 years, Robert Williamson died 17.12.1968 aged 54 years, his wife Martha died 8.9.1992 aged 78 years. Young David died 22.3.1886 aged 20 years, Samuel died 12.2.1899 aged 60 years, his mother Rose Ann Young died 7.8.1915 aged 74 years, Minnie GG Walker died 12.7.1926 aged 55 years, daughter of above Samuel and Rose Ann Young. Allingham William died 11.10.1910 aged 85 years, also his wife Anne died 26.11.1892 aged 42 years. Bell George Spence of Drumdelure died 24.1.1882 aged 27 years, also his parents Thomas Bell died 24.9.1892 aged 96 years and Annebel died 11.5.1894 aged 84 years, also daughter Kate Thompson died 30.10.1904 aged 60 years, Mary Anne Bell died 8.1.1924 aged 86 years. Campbell Duncan of Townmoyle died 7.12.1871 aged 69 years. Clark James died 28.5.1871 aged 61 years, his youngest son James Armstrong died 13.4.1875 aged 18 years, also his wife Jane died 30.2.1892 aged 69 years. Cullen James of Townmoyle died 4.2.1883 aged 94 years, also his wife Isabella died 24.3.1888 aged 66 years and their daughter Bella McVitty died 16.9.1894 aged 28 years. Cummings Dora Emily died 5.3.1873 aged 16 years, daughter of Thomas and Emily S Cummings, infant brothers Louis and Alfred died October 1868, Thomas Edward died aged 17 Years on 9.10.1878, Thomas, father of above died 22.10.1897 aged 81 years, his wife Emily S died 30.3.1905 aged 71 years. Davis Richard Earls born 21.3.1882 died 19.11.1918. Davis Robert of Lurganboy died 8.12.1862 aged 76 years, his wife Mary Anne died 16.8.1889 aged 77 years, youngest daughter Mary Anne Shillington died 5.8.1869 aged 34 years. Fletcher Eliza died at Gortinar 5.2.1890 aged 62 years, also Robert died 10.5.1905 aged 67 years, Lissie Anne Fletcher died 29.5.1922 aged 48 years, Robert died 25.2.1929 aged 73 years, Thomas Robert infant son of Thomas A Fletcher and Mary Thompson of Manorhamilton died 9.4.1922 aged 10 days. Frazer Mary Jane daughter of William and Anne of Lurganboy died 17.9.1877 aged 15 years, also her son William died 26.8.1920 aged 76 years, daughter Martha died 14.12.1954 aged 83 years. Frazer William died 25.10.1896 aged 81 years, his wife Anne died 25.1.1902 aged 84 years, also Willie, son of William and Martha Frazer died 19.2.1962 aged 66 years. Greer Fanny wife of William Greer of Sligo died 30.12.1910, above William died at Miller's Hill on 27.7.1928 aged 75 years. Greer William of Gortinar died 5.5.1910 aged 81 years, his wife MA Greer died 27.8.1928 aged 79 years, his brother Samuel died 8.3.1900 aged 80 years, James Greer died 12.1.1958. Greer William S of Cornstalk died 11.12.1961, also his wife Lily died 15.5.1973. Hamilton Sarah Isabella, erected by Albert Hamilton in memory of his sister who died at Gortimer on 9.2.1914 aged 25 years. Howe Archie died at his residence, Bundoran on 1.5.1897 aged 50 years, his wife Ellen died 9.9.1903 aged 52 years, also Martha his daughter died of fever while nursing her only sister on 20.10.1916. Hudson Rev. 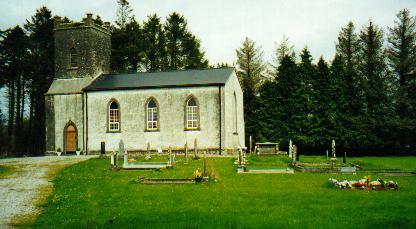 John, Rector of Killasnet died 31.12.1885 aged 76 years. McNasser Charlotte, erected by John McNasser of Gortenarin in memory of his wife who died 16.9.1876 aged 57 years, John died 23.4.1884 aged 75 years. Moffit William John died 19.3.1962 aged 46 years, his son John Nixon died 3.2.1984 aged 27 years. Moore Margaret, erected by William Moore in memory of his wife Margaret who died 28.7.1891 aged 67 years, above William Moore died 1.6.1896 aged 90 years. Moore William J died November 1935 also his wife Margaret died March 1953, daughter Mary Ann died October 1938. Mullett Lizzie, only daughter of Charles and Mary died 7.1.1888 aged 35 years, Charles died 22.9.1891 aged 68 years. 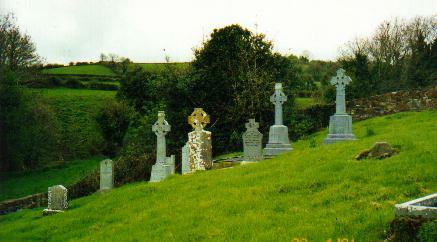 Olpherts Francis of Mount Shannon, Sligo died 27.1.1897 aged 75 years, his wife Mariana died 11.7.1912 aged 76 years. Parke Francis Esq died 4.4.1873 aged 63 years. 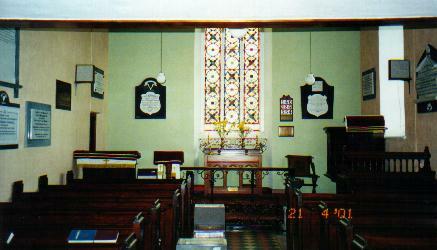 Parkes James of Killemeenhain died 2.7.1976, also his wife Mary Ann died 24.11.1997. Peacock William of Manorhamilton died 28.11.1889 aged 88 years, John died 27.3.1890 aged 30 years and Lewis died 29.4.1890 aged 24 years, his wife Anne died 20.1.1908 aged 87 years. Porteus Mary, erected by Charles Porteus in memory of his mother who died 8.5.1883 aged 73 years, also his son Charles died 13.12.1894 aged 50 years, Eliza Jane died 6.3.1927, her sons Phobes? died 10.12.1930 and Robert died 9.12.1951. Pye William died 7.5.1868 aged 21 years, sister Mary Jane died 22.1.1872 aged 15 years, father John died at Gortinar on 20.12.1879 aged 76 years, his son Robert died 11.8.1883 aged 34 years, his son Henry died 29.5.1884 aged 27 years, Mary Jane Sadlier died 3.5.1997. Rutherford Bertie, child of Robert and Lilly Rutherford of Deerpark died 17.3.1877 aged 11 months, above Robert Rutherford of Earlsfield, Manorhamilton Medical Officer and Manager of Dispensary and Infirmery for over 49 years died 20.12.1929, Lillian Morrison Rutherford, wife of above Robert died 18.10.1939 aged 80 years. Sharpe Annie W Malcolm died 27.6.1877 aged 26 years, William John Sharpe of Gortinar died 29.1.1965 aged 72 years, wife Dorinda (Dora) died 3.3.1998 aged 89 years. Sharpe Ellen, erected by John Sharpe of Skreeney in memory of his wife who died 30.6.1870 aged 42 years. Smith Hugh of Ballyglass died 16.9.1870 aged 71 years, his wife Jane died 20.5.1885 aged 78 years. Smyth Richard of Gortinar died 4.11.1901 aged 80 years and wife Mary Anne died 21.11.1888 aged 80 years, daughter Jane died 7.4.1879 aged 20 years, son William died 20.1.1881 aged 20 years. Templeman Charles and Susan of Deerpark, also their daughters Mary Jane and Margaret Kathleen. Vanston EJ died 2.12.1900 aged 53 years, Thomas died 1.9.1920 aged 84 years. Wynne Susan, eldest daughter of the late Owen Wynne Esq of Sligo died 15.5.1870 aged 31 years. Austin Michael died April 3rd 1883 aged 35 years. Also his daughter Mary Josephene Austin who died young November 13th 1893 aged 17 years. Erected by Margaret Austin. Brennan Thomas died October 14th 1869 aged 62 years, Hanora Brennan died June 11th 1890 aged 71 years and James Brennan died August 20th 1899 aged 58 years. Burke John. Erected by Johanna in memory of her husband John Burke of Kilmore died September 8th 1884 aged 48 years. Burke Johanna nee Mockler died November 22nd 1905 aged 52 years. Burke William died March 20th 1853 aged 57 years. Mary Burke died July 29th 1884 aged 70 years. Also grand daughter Annie Laffan died June 15th 1883 aged 19 years. Cahill William. Erected by Mrs Cahill of Twomile Bridge in memory of her son William who died December 2nd 1857 aged 8 years. Cantwell Ellen daughter of Patrick of Doan House Powerstown died November 30th 1867 aged 20 years while on a visit with her fond uncle The Very Rev. Canon Cantwell St Patrick's Manchester. Cantwell Ellen Erected by John Cantwell on Clonwalsh in memory of his wife Ellen alias Quinn died April 31st 1837 aged 54 years. Cantwell Mary. Erected by James Cantwell of Locopel? in memory of his wife Mary who died March 8th 1854 aged 75 years. Cantwell Patrick. Erected by Walter Cantwell of Ballinahy in memory of son Patrick who died May 5th 1803 aged 23 years also daughter Eleanor who died May 27th 1819 aged 38 years. Casey John died January 18th 1945 and his wife Maria who died January 16th 1957. Collins Maurice died March 17th 1863 and his wife Catherine who died March 5th 1883 and six of their children who died young. Connell Elizabeth, wife of Major P Connell, died at Lakefield, on June 14th 1892 aged 63 years. Cullen Bryan died June 1st 1867 also his wife Ellen Cullen alias power died March 1st 1876. Erected by Bryan Cullen of Kilmore in memory of his parents. Also his infant children William, Mary and Ellen. Bryan Cullen aged 86 years. Ellen Cullen aged 80 years. Bridget Cullen died August 16th 1939, her husband Bernard Cullen died April 4th 1951, their daughter Bridget Cullen died October 4th 1985 and Mary B Murphy died October 6th 1994 and her husband Patrick Murphy who died May 27th 1963. Cummins Annie mother of Michael, died January 19th 1889 aged 40 years. Cummins Michael died May 7th 1939 son of Annie. Cummins Phillip. Michael Cummins of King Street Clonmel erected in loving memory of his father Phillip Cummins who died December 27th 1912 aged 78 years. Cummins Patrick died December 5th 1939, son of Annie. Darmody John. Erected by Mrs Darmody of Clonmel to the memory of her husband John who died July 7th 1845 aged 64 years. The above Mrs Darmody died January 7th 1875 aged 95 years. Granddaughter Mary Anne Darmody 1859-1941, Grandson Patrick Darmody 1864 - 1945 and his wife Mary 1874 - 1945 and their daughter Margaret Anne 1912 - 1923. Dempster Mary Carroll daughter of the late Major Thomas C Dempster 28th Regiment who died at Redmonstown House September 26th 1918 aged 22 years. Doyle Mary died ?.5.1834 aged 15 years. Duane Mary. Erected by Joseph Duane in memory of his mother who departed this life May 15th 1879 aged 64 years. Ely Col Alfred died October 5th 1896 aged 42 years. English John. Erected by Catherine Neeson in memory of her brother John who died August 14th 1874 aged 40 years, also her father and mother and two brothers. Fahey Thomas (Tommy), Phoenix Arizona USA, late of Curranstown Clonmel born January 8th 1916 died July 18th 1994 ("Ride a Bike"). Fleming Julia alias Casey died April 20th 1876 aged 64 years. Also sister Margaret who died January 13th 1879 aged 30 years. Also her father Edmund who died February 2nd 1879 aged 70 years. 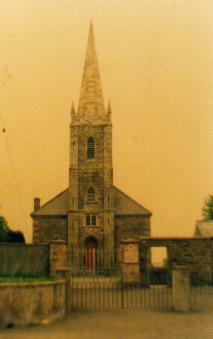 John Fleming of Cloncody died October 12th 1973 and his sister Mary who died May 13th 1982. Hanley Daniel of Moorestown died January 6th 1889 aged 79 years also his wife Mary died May 11th 1877 aged 55 years, and daughter Annie died November 19th 1873 aged 20 years, and son Michael died April 25th 1895 aged 39 years. Harney Thomas of Moangarriffe died February 10th 1921 aged 50 years. Also William Harney of Moangarriffe died July 11th 1914 aged 52 years (his brother). Harney Phillip died April 4th 1947 aged 94 years. Also his wife Bridget nee McGrath died October 2nd 1966 aged 74 years. Harvey Thomas of Moangarriffe died March 8th 1891 aged 69 years. Also his wife Mary Harney nee Brett died January 11th 1900 aged 68 years. Heffernan Patrick. Erected by Ellen Heffernan in memory of her husband Patrick who died March 22nd 1858 aged 58 years also her daughter Ellen who died October 13th 1857 aged 22 years. Erected by Ellen Heffernan in memory of her husband. Jones Catherine of Clonmel died August 28th 1857 aged 40 years, also her husband Henry died November 16th 1854. Keefe Ellen of Moangarriffe died January 31st 1834 aged 41 years. Keily Daniel. Erected by Mary Cecily Keily in memory of her father Daniel of Woodrooffe who died November 22nd 1889 also his wife Mary A nee Heffernan who died December 26th 1909, also their sons Maurice who died May 22 1899, Michael died May 4th 1918, Patrick died February 5th 1928, also sister Mary Cecily Keily died April 13th 1945. Keily Mary. John Keily erected in memory of his wife Mary Keily who died December 12th 1881 aged 67 years. Keily John of Woodrooffe died June 2nd 1914 aged 87 years, also his wife Julia nee Fogarty died February 22nd 1916 aged 74 years. Keily Maurice. John Keily erected in memory of his father Maurice who died September 9th 1858 aged 68 years, also his mother Catherina died January 1st 1876 aged 75 years, also Maurice of Woodrooffe died March 20th 1911 aged 32 years. Lonegan Thomas of Graigue died July 12th 1875 aged 86 years, also his daughter Ellen died May 1846 aged 4 years and his sons James died 1862 and Denis who died 1865 aged 24 years. Lonergan Mary. Erected by Mathew Lonergan of Maginstown in memory of his daughter Mary who died October 7th 1844 aged 21 years, his brother Edmund of Graigue who died January 6th 1846 aged 54 years, also his sister Mrs Judith Slattery who died 1851. Lonergan Matthew. Erected by Rev Father Lonegan in memory of his uncle Matthew formerly of Maginstown who died in America 1869 aged 91 years. McCarthy John, Powerstown died November 2nd 1973 and his wife Alice O'Neill who died January 16th 1951. McGrath Denis. In memory of of Powerstown died February 20th 1889 aged 85 years and his wife Mary McGrath died October 4th 1891 aged 70 years also daughter Mrs Kate Mullins died November 13th 1894 aged 49 years and her husband Michael Mullins died July 3rd 1886 aged 65 years. McGrath Mary alias Power. Erected by Daniel McGrath of Parkville in memory of Mary who died February 2nd 1841 aged 60 years also remains of her husband Denis who died August 19th 1841 aged 72 years. McGrath Patrick. Erected by Catherine McGrath in memory of her husband Patrick of Powerstown who died June 4th 1836 aged 46 years also Mary McGrath died April 11th 1941 aged 34 years. McGrath John died May 17th 1916 aged 78 years his son Denis who died young and his wife Bridget McGrath died November 3rd 1930 aged 76 years. Mockler Johanna. John Mockler, Redmonstown erected in memory of his mother Johanna who died October 4th 1876 aged 80 years. Mockler Richard. Erected by John Mockler of Redmonstown in memory of his beloved father Richard who died March 17th 1847 aged 65 years. Also brother Michael died June 21st 1831 aged 3 years and his wife Bridget who died March 17th 1884 aged 60 years. The above John died August 22nd 1895 aged 69 years. Neville Margaret died February 29th 1844 aged 42 years, and son Michael who died April 5th 1935 aged 12 years. Erected by David Neville. O'Brien James of Lawlestown died January 14th 1865 aged 61 years also his son James who died May 14th 1865 aged 41 years, also his son Rev. John O'Brien died February 2nd 1860 aged 24 years. O'Halloran Joanna died July 8th 1895 aged 58 years. Also her daughter Annie who died October 20th 1894 aged 21 years. O'Meara Thomas (Powerstown) died March 22nd 1950, his wife Mary died November 21st 1966 his father William died February 10th 1906, his mother Ellen died September 15th 1925. O'Neill John Erected by Mrs O'Neill of Redmonstown in memory of her husband who departed this life August 8th 1840 aged 57 years. O'Neill Mary died March 8th 1921 and her children Mary (Mollie) O'Neill died November 18th 1940, Josephine died November 24th 1946, Michael died March 24th 1948, Patrick died October 10th 1950. Thomas died December 28th 1958, John (Lawlesstown) died February 16th 1963 aged 81 years. Margaret McCullough nee O'Neill died April 26th 1970 aged 84 years. Margaret Maxcy died May 30 1865 aged 36 years. O'Shea Mary died November 22nd 1883. Phelan James departed this life July 5th 1830 aged 84 years. Erected by Mr John Phelan of Horsepasture in memory of his father. Phelan Margaret alias O'Donnell departed this life September 1st 1840 aged 66 years. Erected by Mr John Phelan of Horsepasture in memory of his mother. Power John of Clonwalsh died January 10th 1853 aged 76 years, also his daughters Catherine and Mary. Power Michael. Erected by Mrs Power of Clonwalsh in memory of her husband Michael who died July 22nd 1831 aged 52 years. Power Robert of Clonwalsh died March 17th 1894 aged 75 years, also his wife Ellen died June 3rd 1923 aged 77 years, their children Pierce and Marianne, also John Power died October 28th 1951 aged 78 years. Quirke Thomas of Powerstown died January 14th 1824 aged 73 years. Seery Mary Anne wife of John died November 10th 1866 aged 35 years. Slattery Mary of Lisronagh who died March 12th 1892 aged 70 years also nieces and nephews Johanna, Mary and Patrick Sullivan who died young. Stokes Catherine wife of Patrick died May 2nd 1894 aged 24 years also her son Maurice died July 23rd 1975. Wall Maurice died July 18th 1875 also his wife Ellen Wall died October 23rd 1875 aged 52 years. Wall Patrick who died March 13th 1860 aged 53 years. Erected by Margaret Brennan of Clonmel in memory of her father. Walsh In loving memory of Edward , Mocklerstown, Clerihan, also his wife Katherine and their daughters, Kathleen, Katherine and Alice Byrne 24 St Patrick's Place Fethard died January 28th 1957 aged 88 years. Walshe Dennis of Fethard who died July 24th 1924 also his wife Ellen died December 6th 1933. Boaing? Richard died June 3rd 1761 aged 60 years. 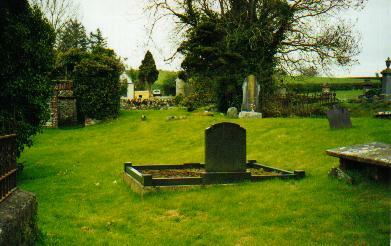 Brett Thomas of Clonmel died June 25th 1840 aged 62 years, and his wife Ellen died December 18th 1819 aged 40 years. Brien James died January 8th 1851 aged 50 years, his father Cornelius Brien died May 1831 aged 75 years and mother Catherine died June 1828 aged 62 years. Erected by Bridget Brien in memory of her husband James. 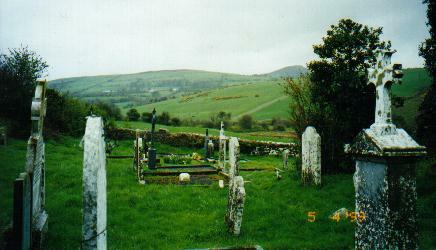 Burke Ellen alias Lonergan of Kilconnell died June 2nd 1829 aged 54 years, her daughter Nouy? (Nomy) died April 2nd 1833 aged 32 years also her son Michael died June 1837 aged 34 years. Burke Bridget. William Burke of Rathkeevan in memory of his mother Bridget died November 10th 1893 aged 45 years also George died December 25th 1914 aged 78 years, his father. Casey Catrine alias Brine died May 27th 1763 aged 51 years. English James died September 29th 1808 aged 20 years. Farrell John. William Farrell of Clonmel in memory of his father John who died May 1st 1847 also his aunt Mary died December 15th 1845 aged 70 years. Fitzgerald John, Foundry, Clonmel died December 23rd 1877 aged 56 years, also son Timothy died October 4th 1885 aged 25 years. Keating Mary died December 10th 1866 aged 73 years. Mahony Cornelius died June 15th 1875 aged 65 years, also his wife Ellen Frances died December 13th 1878 aged 60 years. Erected by Ellen Morrison, California in memory of her mother and father. Murphy Thomas died September 15th 1777 aged 84 years. 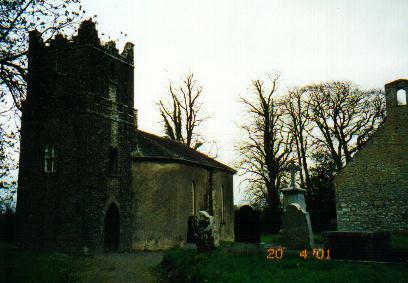 Nugant Margaret alias Phelan, wife of Michael Nugant of Shanbally died October 15th 1825 aged 75 years. O'Brien Daniel of Kilmolash died September 9th 1892 aged 84 years, Mary O'Brien died March 1st 1895 aged 80 years, also their brother James died July 6th 1862 aged 21 years. Mary McGrath died April 30th 1971. O'Brien John son of James died December 12th 1852 aged 32 years. O'Donnell Patrick of Clonmel died February 3rd 1915 aged 62 years and his wife Hanora died February 12th 1920 aged 66 years. O'Donnell Andrew of Glenegat who died May 17th 1856 aged 48 years, also daughter Johanna. Erected by Mary O'Donnell. O'Neill Family late of Mylerstown, Powerstown, their son John (Jack) O'Neill died 27th November 1986. Reylance Mary dyed (sic) May 14th 1715 also Samuel died 1725, also wife to above Samuel died April 18th 1727. Reylance Ralph died November 1768 aged 4 months. Russell alias O'Donnell who died February 28th 1888 aged 37 years. Quirk Mary died August 19th 1905 aged 6 months. White John died August 20th 1779 aged 20 years. White John of Clonmel died July 31st 1879 aged 70 years and his wife Mary died April 6th 1892 aged 83 years. Hunt Sarah. William and Mary of Clune in memory of their children Sarah who died August 1st 1884 aged 26 years and William John died October 24th 1888 aged 25 years. Maher Bridget of Killoskehane died May 7th 1918, also her son Denis died November 22nd 1951, his wife Johanna died August 31st 1965, their son Eamonn died June 4th 1981. Maher Catherine (Mai) died March 8th 1983 aged 71 years, also her husband Paddy died May 21st 1990 aged 90 years, son Pat aged 4 years. Lawrence Maher of Barnane died July 31st 1933 aged 69 years, also his wife Anastatia died March 30th 1968 aged 93 years, their daughter Mary Anne died USA 1939. Woods John. Erected by Margaret Woods of Templemore who died December 29th 1890 aged 89 years, his wife Margaret died November 9th 1904 aged 93 years. Their brother Thomas died December 4th 1866 aged 29 years. Richard son of the above John and Margaret died December 5th 1934 aged 24 years, his son John died September 13th 1947 aged 59 years. Richard died October 21st 1953 aged 35 years, his wife Jane died October 22nd 1970 aged 92 years. Burke John of Kylecrue interred in Inch died December 1st 1928 also his wife Bridget died November 10th 1945, son Patrick died June 24th 1945, their son James died October 8th 1954, his wife Mary died October 26th 1992. Dwan Joe of Ballyroan Borrisoleigh died January 30th 1983, his sister Margaret died October 26th 1985, his brother Michael died January 25th 1991. Dwan John of Glenkeen died September 26th 1975, his wife Molly died September 29th 1997. Dwan Patrick of Pallis Street Borrisoleigh died October 18th 1981 aged 74 years, erected by his wife Mary and son John. Ryan Daniel of Rathmoy died October 18th 1964, wife Bridget died January 21st 1965, daughter Margaret died October 3rd 1946, their son Andrew died December 14th 1972, son Patrick died March 1st 1987. Ryan James of Garnakilla, Upperchurch died January 18th 1976 aged 81 years, wife Winfred nee Treacy died July 10th 1975 aged 68 years. Ryan John. Erected by John Ryan of Borrisoleigh in memory of his nephew John who died May 1st 1946, the above John died February 25th 1971. Alicia Ryan died March 2nd 1982. Ryan Laurence of Cooleen Borrisoleigh died March 25th 1957 aged 86 years, also wife Margaret died January 17th 1961. Ryan Mrs Nora of Glenanogue died February 1st 1977, also her husband Stephen died December 7th 1946 interred at Glenkeen, her brother-in-law Thomas died January 1st 1960 interred at Glenkeen. Ryan Thomas of Knockanora died April 25th 1950, his wife Bridget died Easter Sunday April 4th 1925, their son Michael died August 9th 1970. Ryan Timothy of Fantane died February 16th 1939 aged 48 years. His wife Margaret died December 19th 1961 aged 78 years, nephew John Ryan died November 4th 1980 aged 63 years, Bridie, wife of John died June 2nd 1986 aged 61 years. Ryan Winifred died January 20th 1948 aged 91 years, interred at Glenkeen, her husband Thomas died July 10th 1931 aged 95 years, interred at Glenkeen. Their family Mary and Patrick died USA. Louise died France March 21st 1935 aged 86 years. Bourke John. Erected by Mrs Bergory of America in memory of her father John who died March 6th 1868 aged 76 years, also his daughter Catherine who died December 24th 1859 aged 24 years. Duane Francis. Erected by Frank Duane in memory of his father Francis who died August 12th 1841 aged 84 years, also his mother Margaret Duan alias Ryan who died November 4th 1848 aged 64 years. Dwan Frank died May 17th 1900 aged 74 years, his wife Ellen nee Ryan died May 29th 1895 aged 70 years. Dwan Frank. Erected by Frank Dwan of Thurles in memory of his father Frank who died May 30th 1931 aged 77 years, also his mother Mary nee Keating died February 20th 1932 aged 69 years, brother Patrick killed in France March 18th 1918 aged 22 years. O'Grady. Erected by Thomas O'Grady of Lackmore in memory of his wife who died January 16th 1908, her brother Con Ryan of Springfield Borrisoleigh died November 22nd 1906 aged 37 years, his wife Catherine Ryan died June 28th 1950 aged 82 years, son Larry died December 5th 1987 aged 82 years. Ryan Daniel Joseph. Erected by Ellie Ryan in memory of her husband Daniel Joseph of Sarsfield Quay, Dublin who died August 31st 1901 aged 34 years. Ryan Denis of Glenbreed died 1932, his wife Margaret died October 1953 aged 93 years, sons William died 1947, James died November 1961 aged 64 years. Ryan Margaret of Mountkinane died April 15th 1947 aged 39 years, her husband John died April 27th 1950 aged 64 years, her mother Margaret Kennedy died June 2nd 1949 aged 83 years, her father Martin Kennedy and her son Jerry Ryan died January 1st 1982 aged 50 years. Ryan Martin. Erected by MI (Michael) Ryan in memory of his father Martin who died August 2nd 1911 aged 86 years, also his mother Anne Ryan died October 12th 1912, the above Michael died January 20th 1930 aged 60 years, his wife Annie died Decembere 20th 1935, daughter Margaret died December 27th 1943, his son Martin died February 12th 1973. Ryan. Erected by John Ryan of Mountkinane in memory of his father who died February 1885 aged 84 years and his mother died February 1890 aged 80 years, his son Patrick died June 1899 aged 20 years, the above John Ryan died March 21st 1922, his wife Ellen died December 8th 1919. 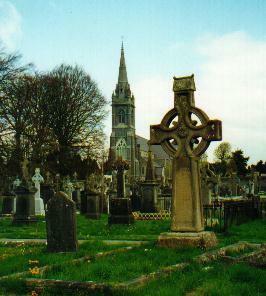 Other names in the Glenkeen Cemetery; Laighane, Comerford, Barry, Bourke, Maher, Dunne, Quinlan, Quinnane, Devitt, Gleeson, Treacy, Shanahan and Stapleton. Algeo Hannah Annie died July 31st 1872 aged 15 years. Annie Algeo wife of John of Manorhamilton died August 10th 1873 aged 41 years. John died June 30th 1879 aged 43 years and Margaret Winnifred Algeo died August 12th 1901 aged 2 years 8 months. Algeo Robert, Drumahair died June 1st 1885 aged 10 years. Armstrong Isabella Jane wife of Benjamin died May 9th 1876 aged 50 years also Benjamin died April 9th 1877 aged 58 years also sons Benjamin and Simeon who died August 22nd 1888 aged 4 months son of Thomas and Lizzie. Also Lizzie died January 27th 1922 aged 63 years. Thomas died May 22nd 1928. Thomas Robert Armstrong died August 1st 1966. Isabella Jane Dickson nee Armstrong died November 25th 1952 aged 72 years. Boyd John died at Manorhamilton October 18th 1885 aged 85 years also his son Patrick died October 14th 1899 aged 68 years and daughter Catherine died February 24th 1905. Carlton George died November 22nd 1885 aged 60 years. Crawford Isabella. Erected by Robert Crawford, of Farrabar in memory of his daughter Isabella Crawford who died 17.5.1897 aged 35 years, also his wife Isabella died 31.1.1905. Robert died 22.10.1905. Elizabeth Crawford, Brookeborough died 28.7.1946 also her husband John died 29.12.1949. Cullen James died 16.8.1868 aged 32 years, erected by his wife Caroline Cullen nee Armstrong. Cummins Harry. Erected by K Cummins in memory of her husband Harry who died 18.10.1902 aged 43 years. Infant son Walter E died 14.12.1894 aged 6 months. Davis Alexander died 20.9.1906 also his wife Sarah died 24.5.1910. Daughter Mary Jane died 18.9.1890. Elizabeth died 8.10.1947. Sarah Eileen infant of John James and Sidney Jane Davis died 30.9.1924. John James Davis died 1.9.1955 aged 77 years and Sidney Jane Davis died 16.3.1967. Fife Anna M died March 2nd 1896 aged 88 years. Erected by her niece Harriet Lloyd. Gault Robert Jof Hollymount died 4.12.1955 also his wife Susan died February 24, 1961 and their daughter Charlotte McClelland died 6 March 1984. Gault In loving memory of William Gault of Screeney, Manorhamilton died 24 June 2000, aged 89 years. His brother Robert Gault of Towneyfeacie Manorhamilton died 13 April 1974. Their parents Isabella Gault died 27 May 1935, aged 65 years and John Gault died 21 August 1948 aged 88 years. Gault Robert, son of Robert and Susan Gault of Hollymount, Glenboy Manorhamilton died 6 October 1992 aged 81 years (buried 8 October 1992). Gault Maud Victoria (Dolly) nee Hamilton wife of Robert Gault above died 12 June 1996 aged 77 years (at Arus Breffin Nursing/Residential Home). Griffiths Jane. Erected by Thomas Rutherford in memory of his mother-in-law Jane Griffiths who died 12.12.1881 also her son Robert died 3.10.1888 aged 47 years. Also Anna Rutherford died 5.12.1901 aged 58 years. Irvine James of Carrickletrim died 9.5.1899 aged 72 years also his wife Eliza died 9.1.1900 aged 53 years. Mary Jane Pye adopted child 31.12.1896 aged 13 years 3 months. Irwin James, Carrickleitrim died September 27th 1910 aged 80 years. His wife Mary Anne died February 25th 1928 aged 83 years. Francis Wm Irwin born November 18th 1887 died August 5th 1939. Maguire Thomas died 6.5.1905 aged 81 years also his wife Annie Jane died 1.8.1934 aged 89 years. McAdoo Joseph died Dublin August 16th 1916 aged 67 years. McCullagh James of Manorhamilton died 5.11.1886 aged 67 years also his son James died 1.1.1875 aged 11 years 8 months. McKeon. Erected by Simon and Rebecca McKeon in memory of their 3 sons James died August 18th 1905 aged 16 years. Johnston died May 1st 1906 aged 19 years. John died May 18th 1907 aged 21 years. O'Malley Robert Adam of Towneymanus died November 23rd 1918 aged 76 years. Wife Matilda Susan died December 12th 1883 aged 41 years. Son Thomas William died July 30th 1943 aged 89 years. Robert A A O'Malley died October 12th 1956 aged 76 years also his wife Ester died April 13th aged 90 years. Patterson Richard died 19.12.1896 aged 66 years also his wife Anne died 11.7.1903 aged 66 years. Rutherford John of Fortland died April 12th 1900 aged 81 years also his wife Annie Rutherford died December 11th 1902 aged 79 years. Rutherford John. Erected by John Rutherford in memory of his parents John Rutherford who died 21.5.1886 aged 77 years and his wife Margaret Rutherford who died 7.4.1886 aged 84 years also their two children Susan Ellen and Charles William aged 4 years respectively , the above John died 23.5.1896 aged 50 years. Tate Issie. Erected by Dr John W Tate in memory of his wife Issie who died at Cliffoney, County Sligo September 2nd 1889 aged 36 years also eldest son Francis James who died Cherrybrook November 8th 1902 aged 19 years. Tate Robert James LRCSI, Deerpark, died November 5th 1899 aged 38 years. His son James Lawson Tate died August 30th 1892 aged 1 year. Templeman Cairn Cross died 3.11.1915 aged 63 years, also his wife Lucy died 24.12.1923 aged 68 years. Templeman Cecil J died 30.10.1891 aged 4 years 6 months William J died 22.12.1894 aged 1 year 3 months. Hubert CC Templeman died 30.6.1895 aged 5 years 7 months. Nora Templeman died 2.7.1895 aged 2 years 7 months. Children of Cairn and Lucy Templeman. Susan Templeman died 16.10.1893 aged 30 years. Williamson Elizabeth died 16.6.1965 and John Williamson died 1.5.1978 and their children, Daisy died 30.10.1939, William Stewart died 19.3.1948 and son John died 8.4.1991. Williamson Elizabeth the wife of Alexander of Glenboy died 9.7.1880 aged 82 years also the above Alexander died 15.11.1881 aged 73 years. Williamson James died Bundoran August 11th 1889 aged 75 years also his wife Margaret died May 18th 1927 aged 96 years. Williamson Robert died Killameehan May 16th 1890 aged 70 years. Wilson Edward died 10.5.1894 aged 65 years also his infant daughter Annie died 14.11.1878 aged 7 months. Please note not all of this cemetery has been transcribed. Brady Margaret, erected by her son Edward Talbot Brady of National Bank Templemore in memory of his mother Margaret Brady, widow of the late Edward Talbot Brady of Lurganurt County Cavan who died 3.9.1887. Butler-Lloyd Mrs K nee Davern of Lloydsborough died 31.12.1906 aged 67? years. Carroll Ellen died 9.3.1884 aged 76 years. Casey John, erected by Rev. PS Casey in loving memory of his father John who died May 1898 aged 74 years, his grandmother Mary Casey, his Uncle James Casey and his Aunt Johanna Casey, all natives of Templemore. Casey William died 6.2.1908 aged 74 years, also his sons Martin died 14.12.1938 and William died 28.6.1953. Casey Winifred, erected by William and Margaret Casey in memory of their daughter-in-law, also the above Margaret died 16.10.1894, also her daughter Bridget M Casey died 19.9.1898. Conroy Serg. John 1st Batt. 17th Regiment died Templemore 27.11.1867 aged 24 years 6 months. Corcoran Michael, erected by Michael Corcoran of Curraduff in memory of his father who died 21.10.1867 aged 50 years, his mother died 5.4.1898 aged 60 years, his son Matthew died 21.1.1893 aged 3 months, his daughter Margaret Anne died 5.3.1919 aged 30 years. Dalton Mary Ellen, erected by John Dalton in memory of his wife who died 8.11.1900 aged 41 years, above John died 14.10.1936 aged 77 years. Delahunty James of Barrack Street Templemore died 26.6.1912. Delahunty Patrick of Templemore died 10.6.1878 aged 62 years, his wife Mary died 10.1.1881 aged 80 years, erected by son-in-law John Nesbitt. John Nesbitt died 14.7.1886 aged 52 years, Bridget Angela (Cis) Nesbitt died 28.2.1919 aged 38 years, Thomas Nesbitt died 4.2.1924 aged 40 years, Mary A Nesbitt nee Delahunty died 25.9.1899. Everard Thomas died 7.4.1873 aged 76 years. Fitzpatrick Lawrence of Clonmore died 20.5.1880 aged 60 years also his wife Catherine died August 1906. Fitzpatrick Thomas of Castleleiny died 7.5.1891, also his wife Mary died 25.7.1886, grand daughter Mary Martin died 6.5.1887. Flynn Mary, erected by Eliz Flynn of Templemore in memory of her daughter who died 24.7.1882 aged 15 years, also her mother Jane Gorman died 30.1.1887 aged 77 years. Fogarty William died 28.5.1886 aged 65 years, his sons Willie died 1.3.1880 aged 16 years, Michael died 25.4.1891 aged 29 years, daughter Nora died 1903. Greed Maria, erected by Patrick Greed of Borrisnoe in memory of his wife who died 8.4.1901 aged 36 years. Harrington Philip died 12.11.1886, also his wife Mary and family, Philip Harrington died 31.3.1919. Hennessy Arthur, erected by his wife Mrs Hennessy in memory of her husband who died 6.12.1877 aged 63 years, sons James died 7.3.1870 aged 25 years, Patrick died 17.3.1870 aged 15 years and her mother Bridget Curran died 8.10.1871 aged 86 years, also above Mrs Hennessy nee Forest died 10.11.1888 aged 66 years, son-in-law Anthony Carroll (Forest) died 1.5.1901 aged 39 years. Hoare Serg. Thomas 8th Battalion Kings Royal Rifles died 22.7.1900 aged 20 years. Kelly Philip, erected by John Kelly in memory of his father who died 10.3.1872 aged 68 years, also his mother Maria died 10.5.1878 aged 73 years. Kirwan John of Templemore died 4.10.1884 aged 19 years, his mother Catherine died 30.3.1888 aged 52 years, his father William died 11.1.1904 aged 86 years, his sister MA Ryan died 26.4.1931 aged 69 years. 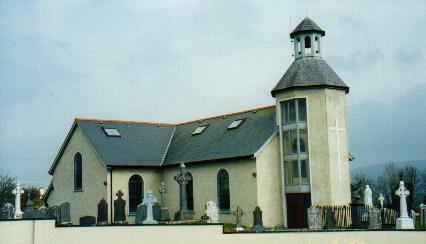 Lanigan Johanna of Ballyheen died 27.12.1897 aged 57 years, also her husband Michael died 2.3.1930 aged 83 years. Lanigan Martin, erected by Thomas Lanigan in memory of his father who died 17.5.1885 aged 72 years, also his mother Margaret died 1.1.1890 aged 70 years. Loughnane John, erected by John Loughnane in memory of his father who died 12.9.1877 aged 76 years, above John died 4.7.1902 aged 68 years, sister Kate died 24.4.1907 aged 68 years. Maher Anastatia, erected by Philip Maher Jnr of Pollough in memory of his mother who died 1.4.1887 aged 82 years, his wife Bridget died 25.8.1897 aged 54 years, above Philip died 4.5.1904 aged 74 years. Maher Andrew of 12 Harold's Cross Dublin died 18.1.1898 aged 29 years, his brother James died 16.11.1906 aged 39 years, Joseph Maher died 29.10.1910 aged 91 years, Bridget died 11.4.1922 aged 92 years, Margaret died 27.3.1929 aged 49 years, Ellen Maher of Shanakill died 8.5.1936, brother Joseph died 21.10.1952, his son Joseph died 6.11.1951. Maher Margaret, erected by James Maher of Shanakill in memory of his daughter who died 31.5.1882 aged 26 years. Martin Ellen, erected by John Martin of Clonmore in memory of his mother who died 1.5.1886 aged 76 years, also his father Patrick died 20.3.1890 aged 86 years, son Michael died April 1890 aged 3 years. Martin James of Clonmore died 5.1.1893 aged 70 years, his wife Mary died 3.11.1915 aged 81 years. Martin Kate of "The Lodge" Clonmore died 20.2.1889, also her husband James died 2.3.1908. 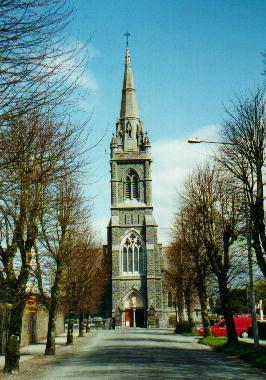 Martin Margaret, erected by John Martin of Clonmore in memory of his wife who died 1.3.1893 aged 62 years, above John died 6.2.1900 aged 69 years. Martin Michael of Clonmore died 8.2.1917 aged 80 years, his wife Anne nee Fogarty died 18.10.1919 aged 76 years, son Timothy J died 29.6.1914 aged 39 years, also daughter Mary Ellen Martin died July 1886 aged 9 years and Mary Martin nee Dunlea died 8.6.1936 aged 42 years. Martin Patrick of Templemore died 1.5.1881 aged 73 years, also his wife Mary died 3.2.1880 aged 62 years. Meagher Edmund P, erected by a brother in memory of Surgeon Edmund P Meagher MD who died in 1882 aged 36 years from typhus. Meagher Joseph, erected by Elizabeth Meagher of Templemore in memory of her husband who died 12.3.1885 aged 65 years, son Joseph died 14.9.1892 aged 16 years, infant daughter Catherine, daughter Margaret died 4.5.1895 aged 16 years. Mooney James S of Main Street Mountrath died 15.10.1951, also his wife Ellen died 21.4.1966. Murphy Thomas died 14.11.1891 and Elizabeth died 12.1.1896, sister Mary died 15.3.1912 aged 54 years, Thomas J Murphy, grandson died 10.3.1923 aged 17 years, their son Patrick died 21.11.1947 aged 82 years. Quinlan Michael, erected by Julia Ryan and Mary Quinlan of Templemore in memory of their brother Michael, late of Springfield who died 25.11.1906 aged 70 years, Mary Ryan daughter of Martin and Julia Ryan died 16.1.1894 aged 16 years. Quinn Nora nee Purcell, erected by James Quinn of Farranderry, Templemore in memory of his wife who died 18.5.1973 aged 81 years, also his parents Maria died 1882 and Richard of Castleleiny died 1937. Ryan Andrew of Graffin died 8.10.1875 aged 49 years, his wife Anastatia died 8.9.1885 aged 49 years, sons John died 5.8.1906 aged 88 years, Thomas died 13.3.1909 aged 46 years, Patrick died 8.1.1916 aged 45 years. Ryan Julian, erected by James Ryan of Templemore in memory of his wife who died 10.12.1865 aged 55 years, above James, son John and John's wife Ellen, their daughter-in-law Mary (Post Office) died 29.9.1845 also their son James died 27.10.1951. Ryan Mary Frances, erected by Thomas Ryan of Clonmore in memory of his daughter who died 20.2.1888 aged 26 years, son James died 9.2.1891 aged 41 years, son John died 4.4.1893 aged 34 years. Shelly John of Main Street Templemore, National Killea School died 10.3.1907 aged 50 years, also his wife Hannah died 11.4.1914. Treacy Michl, erected by Patk. Treacy of Gurthnadrumma in memory of his father Michael of Templemore who died 2.9.1899 aged 62 years, his mother Mary Died 30.6.1904 aged 60 years, brother Michael died 1.1.1906 at New Haven USA aged 23 years, above Patrick, his wife Anne and their family. Treacy Thomas of Templemore died 16.1.1887 aged 48 years, daughter Lizzie died 2.6.1875 aged 2 years, wife Nora died 19.2.1886 aged 40 years, grandson Bartle Dockrey died 2.7.1897 aged 2 years, also Bartley Dockrey died 30.7.1922. Walsh Mary, erected by John Walsh of Main Street Templemore in memory of his mother who died 2.8.1870 aged 56 years, also his father John died 12.11.1871, sisters Katie and Mary, above John died 31.8.1929 aged 78 years. White Frederick James, child of Frank Augustus and Annie White died 25.10.1891 aged 9(3) years.